Nirum’s an awesome name, as is Cadwallader. For the purposes of my research, I much prefer it to Smith, Stevens, Jones or John. However, when looking into Mr. Cadwallader, he occurs all over the map. The fabulous women of History San Jose pulled it all together for me. I’m always looking for a portrait on my Evergreen individuals. This one happens to be in print, not a photograph. Mr. Nirum Cadwallader, for whom the school is named, as previously discussed donated the lands to both the Evergreen Schoolhouse at the corner of San Felipe and Evergreen Roads in 1860 and to the Women’s Relief Corps in 1887, located on Cadwallader Avenue. The WRC is probably one of these subdivision plots. By my estimation of the 5 acres donated, I think it’s probably 34 or 57. Those are the only ones bigger enough and “on” Cadwallader. 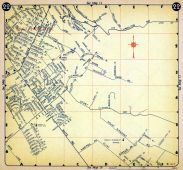 At the time, Cadwallader Avenue started at San Felipe Road. 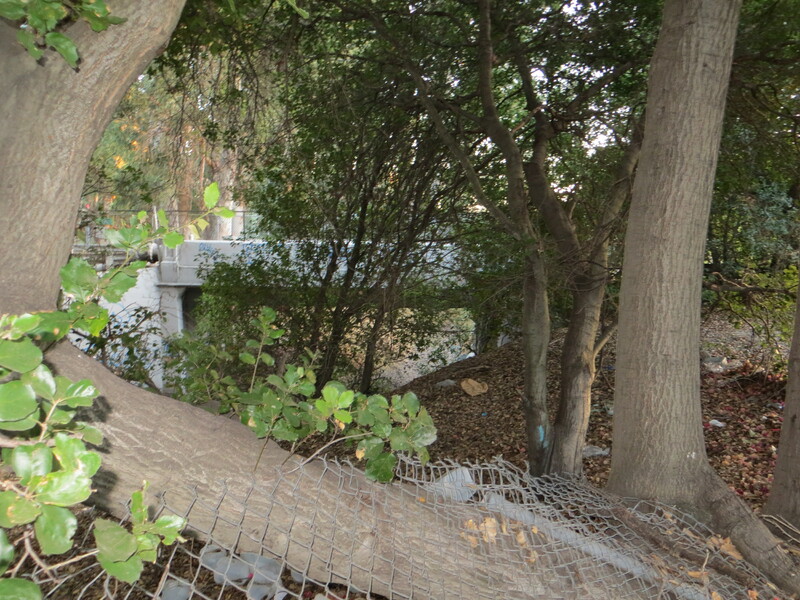 Now, there are only foot bridges connecting Cadwallader to Keaton Loop, formerly San Felipe Road. We’ll discuss this in further detail later. No doubt, Mr. Cadwallader helped shape Evergreen as we know it. The earliest records of Mr. Nirum Cadwallader appear from Birchville, California, because that’s where he initially struck it rich. Originally from Ohio, Nirum Cadwallader would be apart of the Gold Rush of 1849. In an illustrated version of Popular Science in 1866 would bring attention to Mr. Cadwallader’s patent on a technique of compressing air in dynamic to create larger blasts. Nirum Cadwallader (1833-1890) was the great grandson of Ohio’s Seneca County’s Hopewell Township’s first settler, Nathan Cadwallader. Nirum’s father Samuel Cadwallader and wife Mary would raise 7 children, of which Nirum was the eldest. He would’ve been sixteen as he would’ve heard the news of gold from California. As a young man, Cadwallader would work his way up the chain at the Milton Mining Company, surely getting the necessary experience that took him to his future heights. 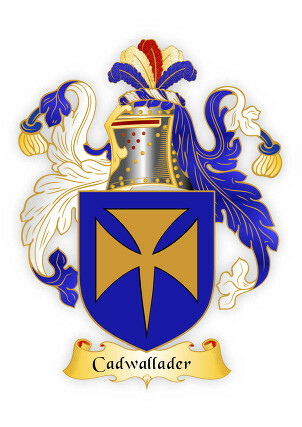 The Cadwallader family name is quite popular there in Ohio and along the east coast, also spelt Cadwalader. It and the family originate from Wales, being a descriptive term for the Welsh people. The family’s lineage can be traced back to a Welsh King. Chances are the Cadwalladers were well off in Ohio. 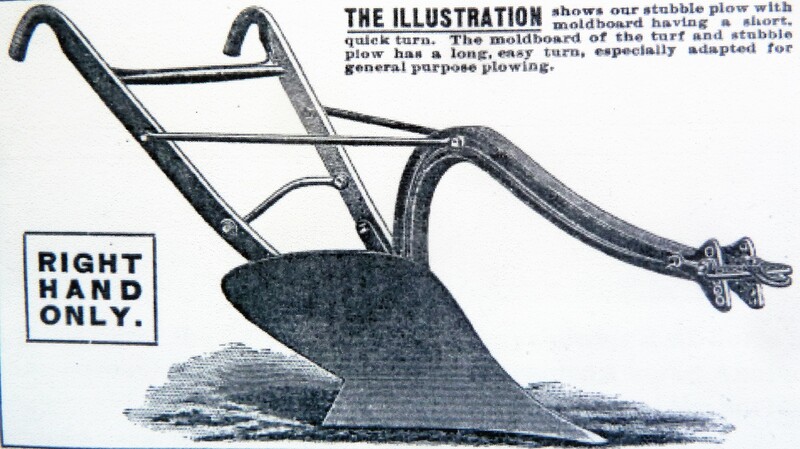 There are a long line of Cadwallader inventors preceding and succeeding him. The first Cadwalladers would leave England in 1640, arriving in Virginia, and slowly migrating west from there. As a young man, Cadwallader would work his way up the chain at the Milton Mining Company, surely getting the experience that took him to his future heights. 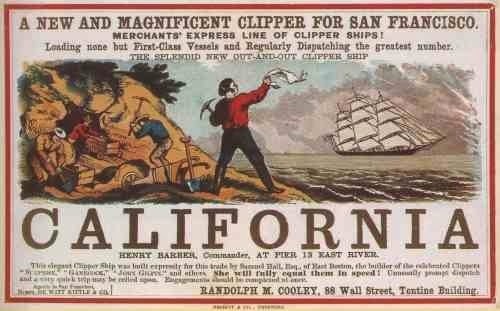 However established, Nirum Cadwallader would break out from Milton and arrive in California in 1855, at the age of 22. Nirum would become a prolific businessman, acquiring stocks and equity in numerous mining, telephone, water and utility companies in Nevada County, California. He was a very rich and well-respected man quickly after coming to California. Mr. Cadwallader would be married twice, but his first wife passed away while he still lived in Birchville. I couldn’t find any records of the first marriage or the children they might have had. After returning home, no doubt to grieve, Nirum would marry the much younger Emma J. Hart (1847-1930) also from Ohio, having 3 children together. 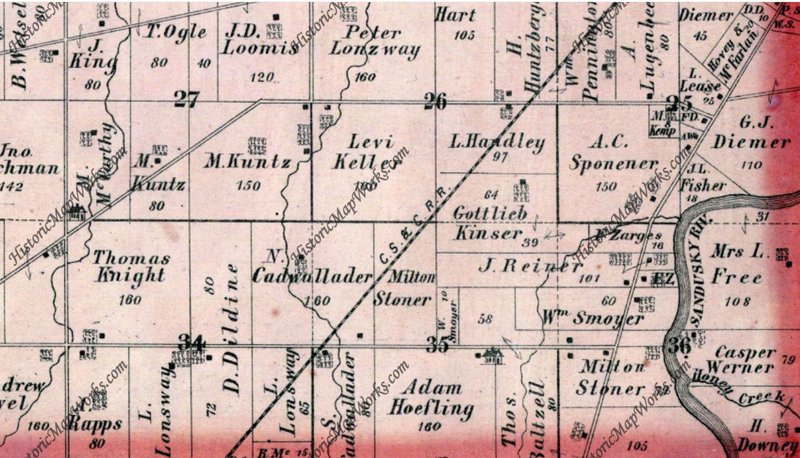 Nirum Cadwallader would own 160 acres in Ohio as shown to the left in this 1874 Atlas. Samuel, his father, would live with Nirum for part of the year, probably during Ohio’s colder months. If you’re mining for gold in Nevada County, California, you would need quicksilver to obtain pure gold and remove other elements from the compound. If you’re a forward thinking man with mining interests and better mining techniques like Mr. Cadwallader, you might look for some quicksilver mines of your own. 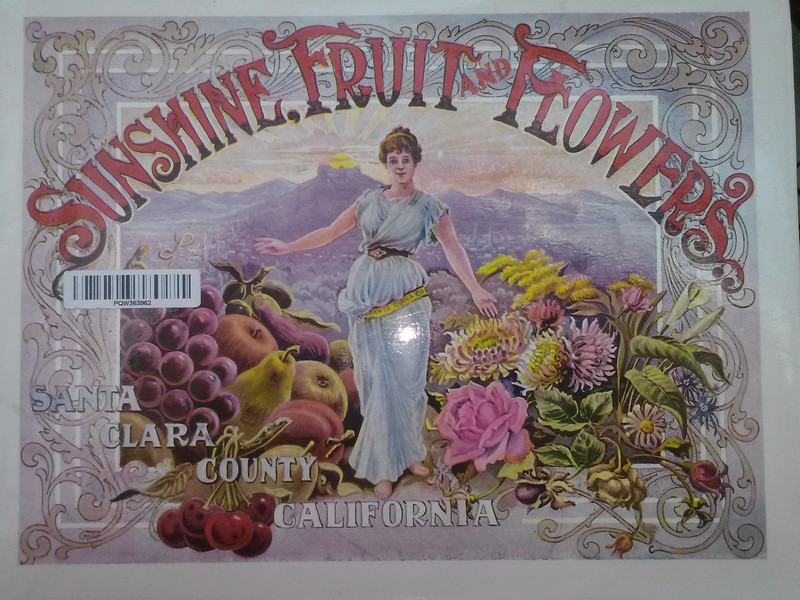 This is what probably brought Mr. and Mrs. Cadwallader to San Jose for good in 1881. Although it is unclear whether or not he had any part of the Silver Creek Mines before their flooding and abandonment, Nirum Cadwallader would purchase land in the heart of Evergreen in the 1860’s, though they never lived there. This was a second property to vacation from their downtown home, which was located off of the Alameda, in the heart of Downtown San Jose. It’s been torn down. 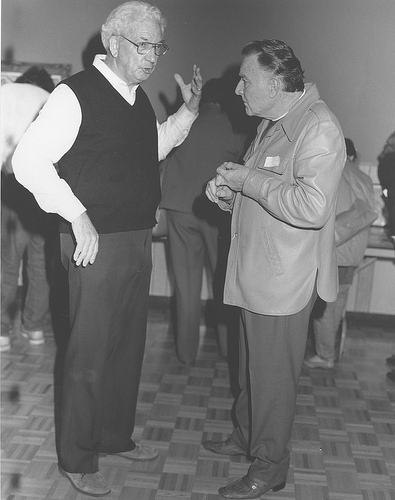 When Cadwallader donated the land because he hadn’t built on it, he made a huge impact on the Community of Evergreen. Mr. Nirum Cadwallader has been rumored to be a very generous man throughout his life. In 1888, Birchville’s mining industry would dry up as the mines were picked clean. The population of Nevada County quickly shrank. Forward thinking Mr. Cadwallader had already set up shop elsewhere. His patent made him rich, as did his business ownings. 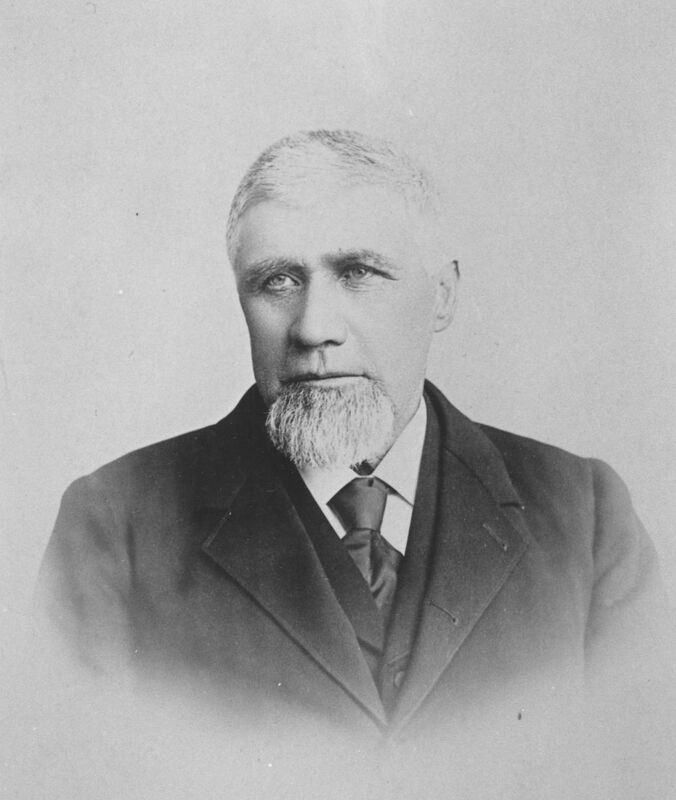 Mr. Cadwallader died in 1890, a year after the WRC opened. Mrs. Emma Cadwallade, the widow, would deed a park in his honor. 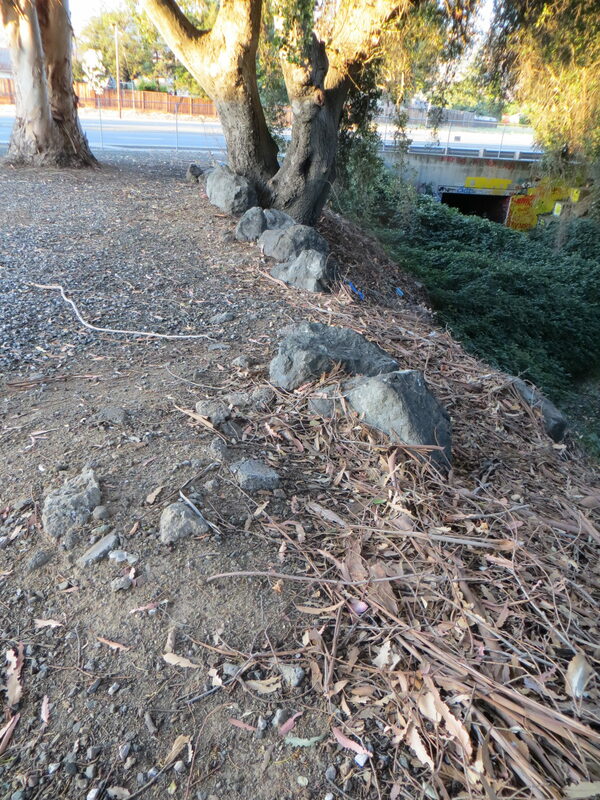 The small park still exists between 1st and 2nd Streets at Keyes Street. It is the cutest wedge of land with palm trees. This crossroads would dictate the direction you were heading before highways were built. 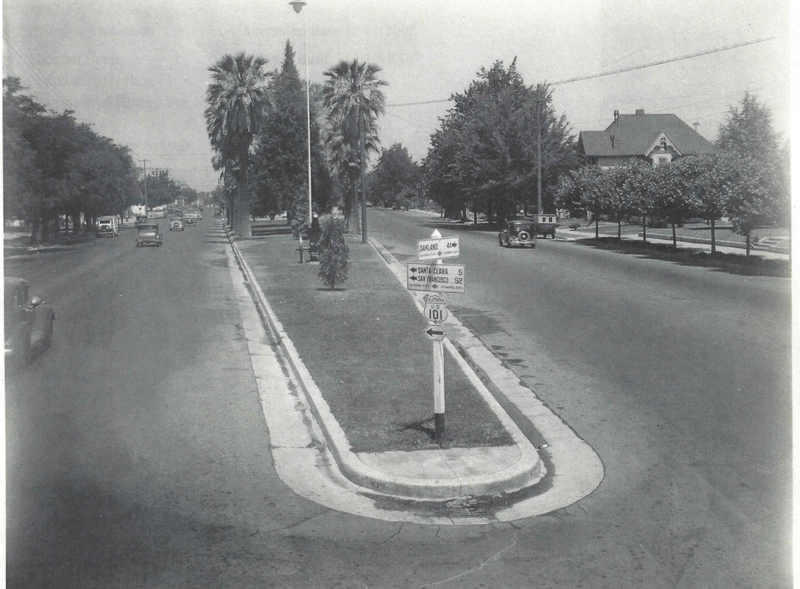 Monterey Road was the closest thing to a highway, also being a portion of the El Camino Real. First Street heading North lead you Santa Clara and then the Alameda which turns to the El Camino Real to San Francisco. Heading down Second Street took you towards Oakland via Oakland Road from Thirteenth Street. 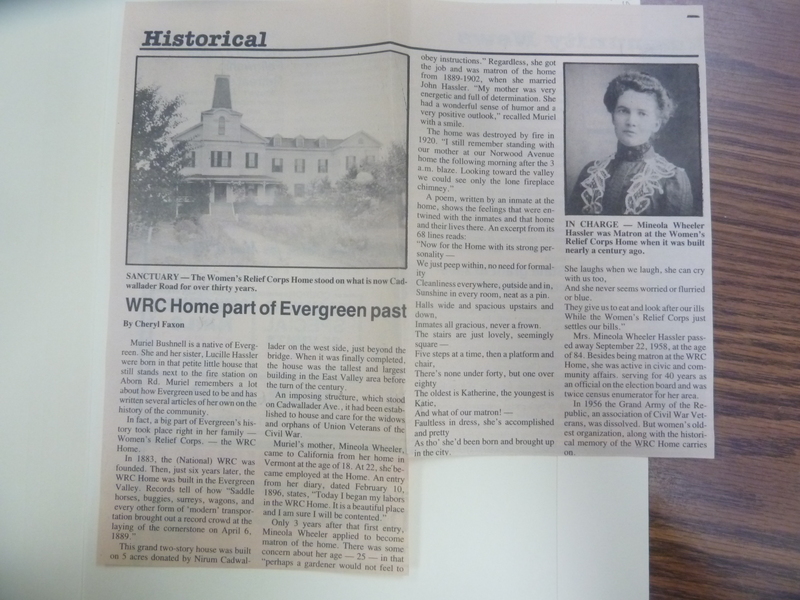 In donating the property to the Women’s Relief Corps in December 1887, constructed in 1889, a ceremony was held to commemorate the occasion in Evergreen on April 6, 1889. The WRC took a year and a half to build on Cadwallader Avenue. A mile long precession and banquet hosted by “ladies of Evergreen”, notable ladies like Mrs. E. J. Smith, Mrs. J. J. Jones, Miss Fowler, and Miss McClay. 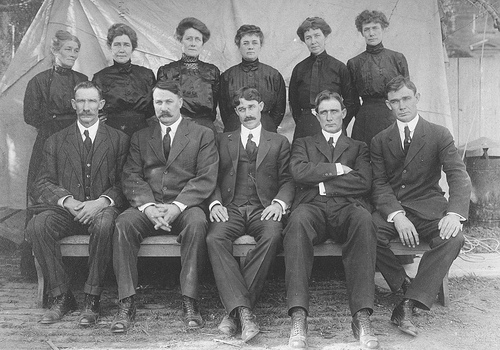 The occasion was celebrated with Mr. and Mrs. W. L. Edwards, Mr. and Mrs. Samuel Cunningham, Mr. and Mrs. Lantz (neighbors nearby the WRC), Miss Minnie Keliher and the Chew Family. It was said that Mr. Cadwallader held the event to show off his beautiful wife from Ohio. She later remarried Mr. Taylor in 1910, twenty years later. Mr. Nirum Cadwallader’s Evergreen property turned into one of the first densely built home developments in the downtown of Evergreen. It was all located around Cadwallader Avenue, named in his honor. 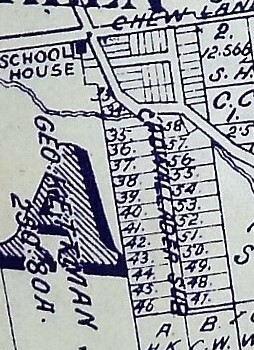 Close by Cadwallader Subdivision were the Smith properties and General Store, Andy Kettmann’s Saloon and the Schoolhouse. 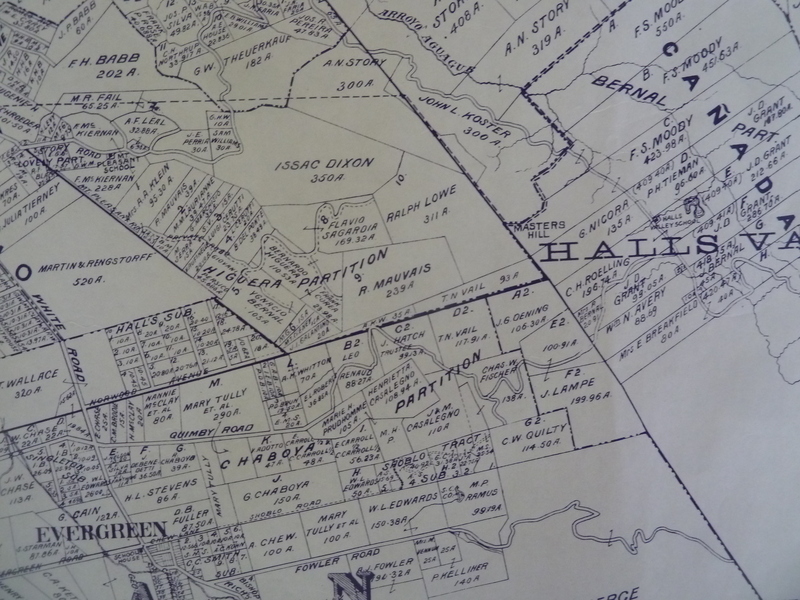 When the town grew, it did so because people enjoyed having neighbors and countryside in the places like the Cadwallader Subdivision shown to the right. If you worked these farms nearby, you probably couldn’t afford lots of acres of your own. Plus, you were too busy to ever profit off of the land or tend to it yourself. Evergreen’s farming industry took the whole village to harvest. Evergreen School Sessions would sync with the harvest season, because the kids would be home working as well. 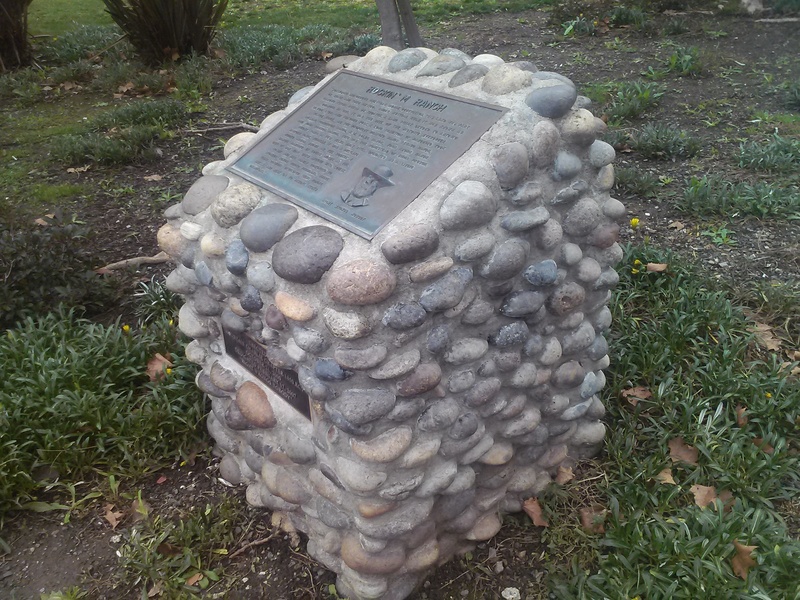 Patricia Loomis discussed the WRC’s opening with first person resources in her article “Cadwallader Ave. Has Had Problems” in her ‘Sign Posts’ series, revisiting historic events in San Jose’s history for the San Jose News in October 17, 1975. 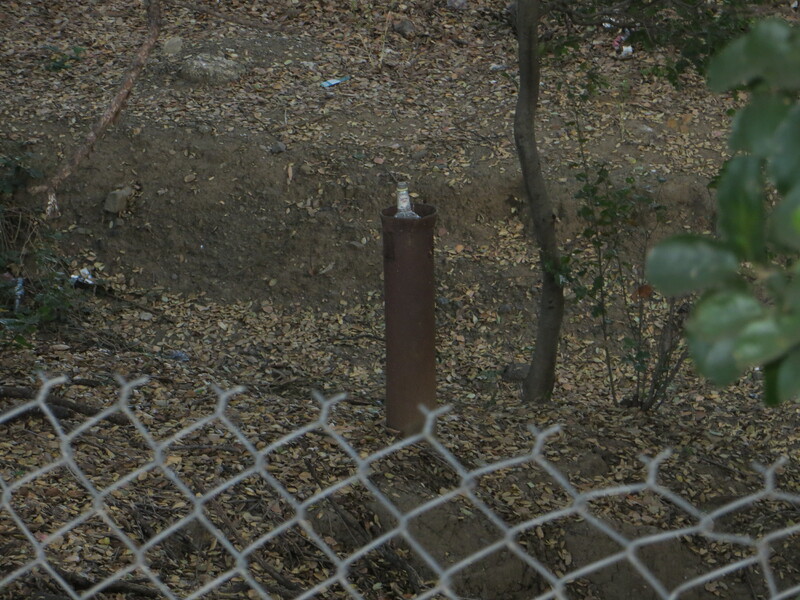 What I hadn’t realized before I found Patricia Loomis’s Sign Post was that Cadwallader Avenue went through to San Felipe. The road bridge would be washed out in 1893 after heavy rains. 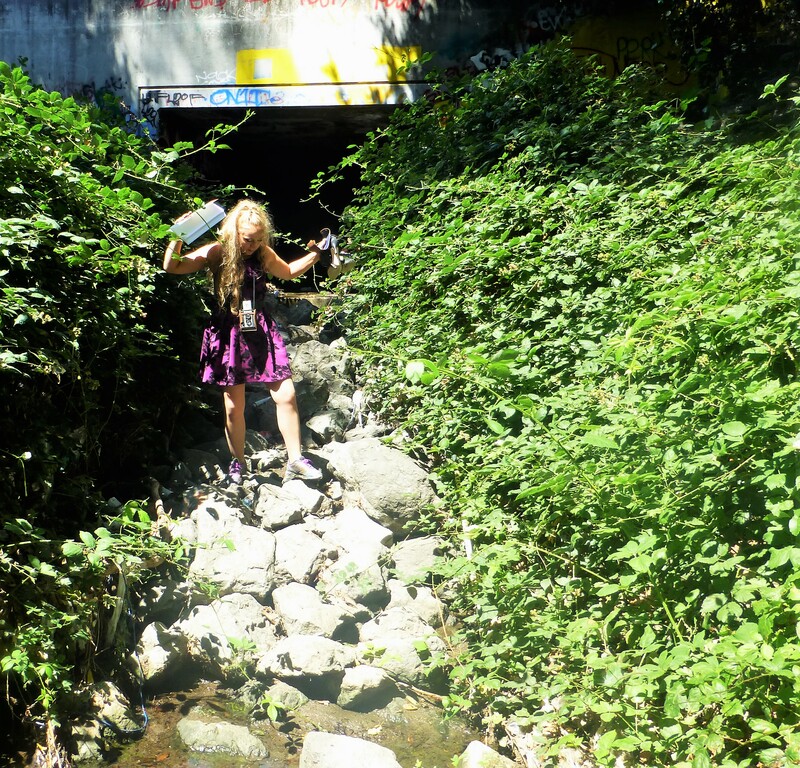 At the time, Cadwallader crossed Thompson Creek, formerly known as Dry Creek because it ran dry in summer months. The wash out surely as something to do with the redirecting of San Felipe Road. It’s never been replaced. The Evergreen Schoolhouse opened in 1860. 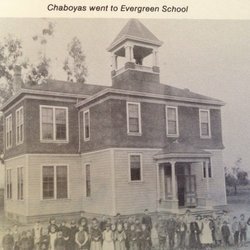 There were enough Chaboyas, both European and American homesteaders and rancheros families to open up a school in Rancho Yerba Buena. 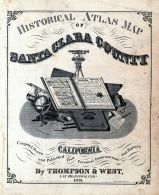 It would be incorporated into the Santa Clara County Education system in 1866 as the township became more established. Famed author Edwin Markham (1852-1940) would come to Evergreen Schoolhouse to teach in its early days after attending San Jose State University. Teaching in Evergreen from 1969-89, he would recall the days of a single story school house, replaced by a larger two-story one. A nearby redwood tree was planted in his honor after teaching there for twenty years, which I intend to find if it’s still around. The Redwood would be over 100 years old now. It is said the Evergreen helps inspire some of Markham’s work. 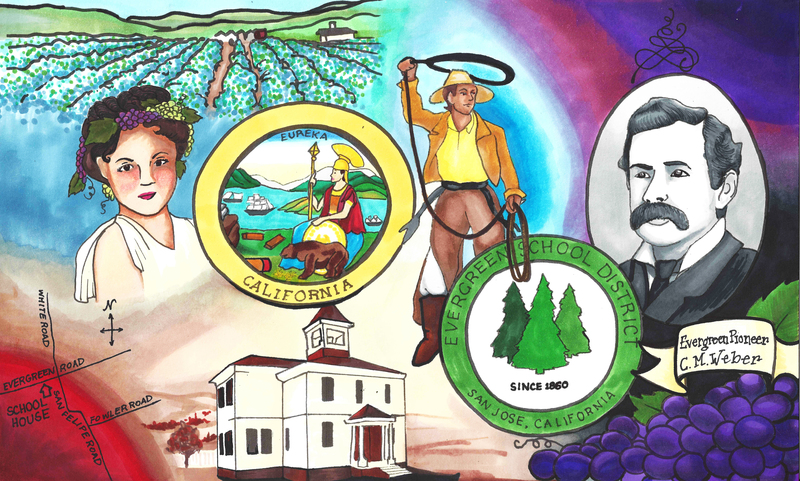 The commemorative redwood tree also might be the inspiration of the Evergreen trees in the School District’s logo. In general, the School’s schedule would sync up with the fruit picking seasons and operate 10 months a year. They insisted on keeping the school free to the public and secular from its inception. My old time interviewees would recall the school house at the corner or San Felipe/White Road and Aborn Road, then Evergreen Road. That may seem odd now, but it would’ve been located there the shopping center and Valero gas station stands today. The land was donated by Mr. Nirum Cadwallader, who also donated the same amount of land to the WCR some years later, and upheld the donation by William Matthews in the transaction to Geo. Kettmann. Education has been something Evergreen residents have felt strongly about since the town began. The Schoolhouse had been there on Evergreen Road, now Aborn, since the 1860. I think it’s so cool that today’s well-known creek crossings would’ve been somebody else’s path to school 150 years ago. 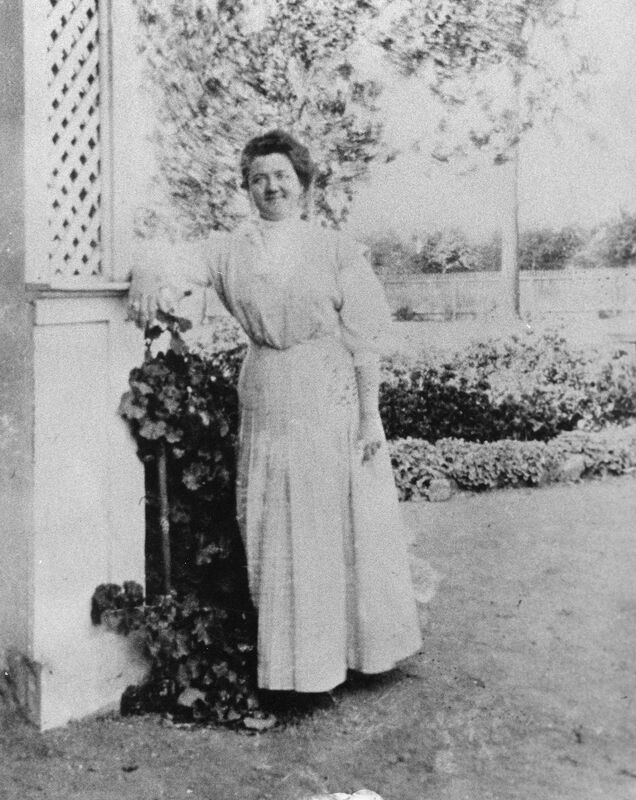 Katherine R. Smith (1870-1973), daughter of town leader and postmaster Francis J. Smith, would come back to Evergreen schoolhouse after being one of the first women to graduate from San Jose State University and teach down the street from her house. The school house would remain there for a long time. Katie is huge part of Evergreen History. The two-story school house would be moved by rolling it over logs down the street on San Felipe Road and Yerba Buena Ave. during the 1950’s. 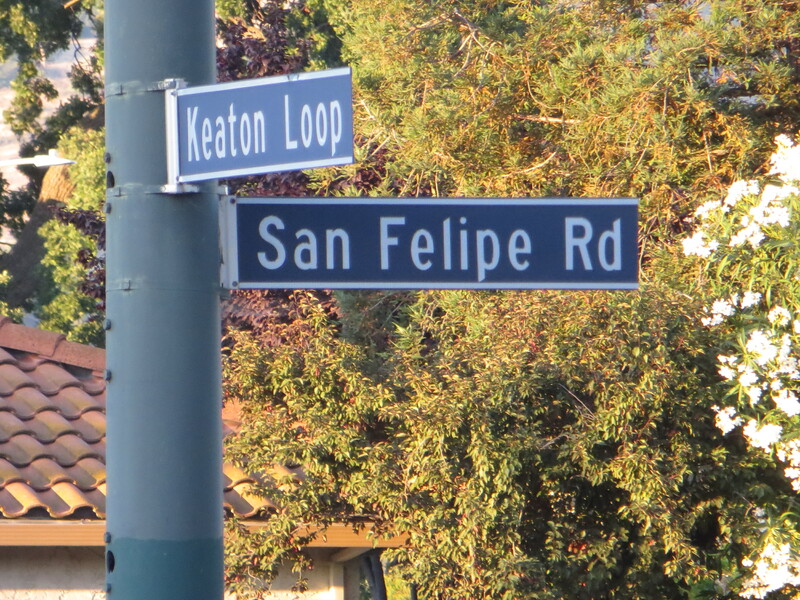 This is when San Felipe would’ve changed directions and Keaton Loop created. 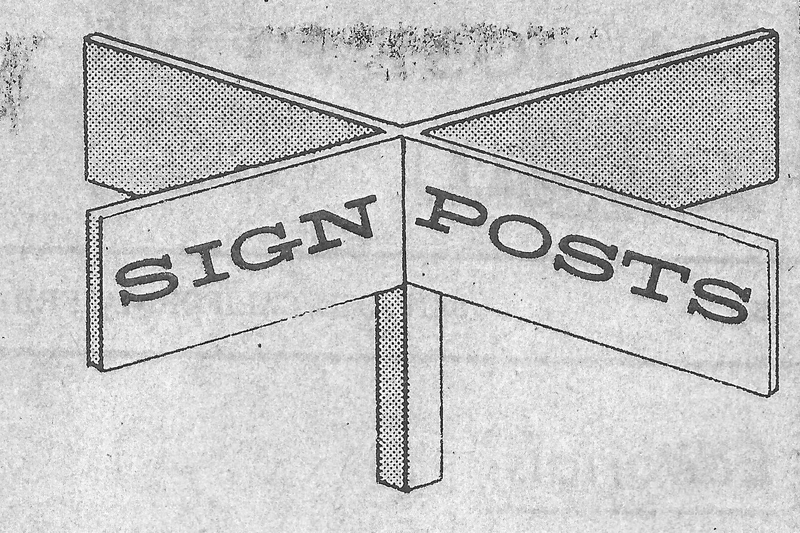 Post World War and new City Planning developing in effect, Evergreen’s update began with this major move. It also helps explain why this view of the Smith homes feels incorrect. From the drawing, the road now runs between the houses and business, and this driveway between them is essentially Yerba Buena Avenue. Directly next to this road would’ve been Dry Creek, now known as Thompson Creek. The Schoolhouse would come to stand where the General Store and Winery are. That’s right, the schoolhouse moved across the street from Katherine’s House. How rad is that? Katherine, Katie, would become Superintendent of the Evergreen Elementary School District, watch the school outgrow this two-story facility and move to Fowler Road before expanding with new schools. 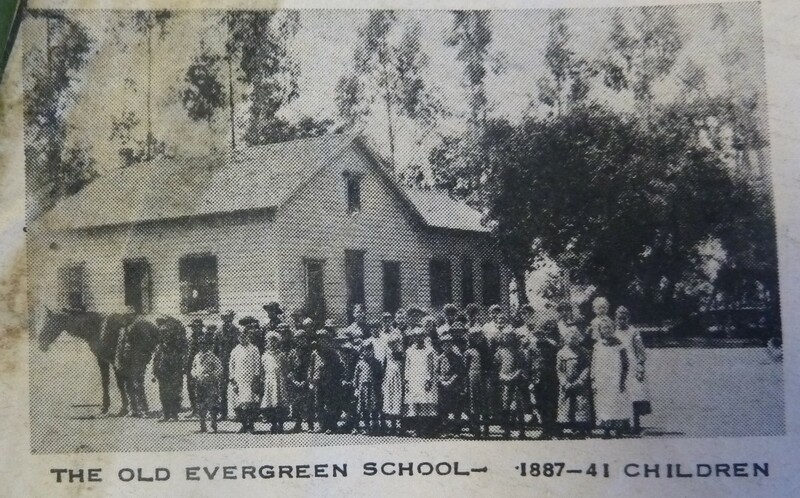 The Evergreen School is where Evergreen Elementary School is today. Katie would live to be 103 years old and known as the Daughter of Evergreen. As a staple of the Evergreen Community and a beloved educator, it only seems appropriate to name Evergreen’s second school in her honor in 1962. This two-story school house still stands today, or at least that’s what I had heard from fellow Evergreenians. I did some digging. 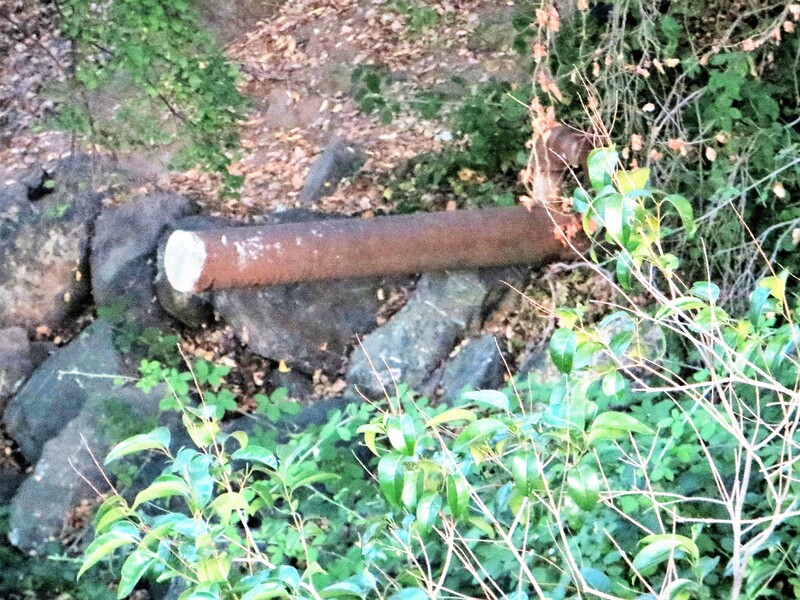 I found what stands where the schoolhouse was last seen. There is this odd, adobe looking, older apartment building, called the Chaboya Apartments, standing there now at the intersection of San Felipe Road and Yerba Buena Avenue. What I was not understanding or seeing before was that the Evergreen Schoolhouse does still stand, but with the addition to the original building disguising it. I took a closer look at what was there and found the Schoolhouse I was looking for hidden in plain sight! I find it here farthest to the right in the picture to the right. It would be naturally to extend evenly in each direction, but you’re pretty limited in repurposing a building with a creek in your backyard. To say it’s gotten some body work would be an understatement, but that’s it with the stairs leading up to it. Only the front got the more modern adobe facelift. It’s an incredible finding as the Evergreen Elementary School District is an ally of The Evergreen Mural Walk project, as well as a source of its inspiration. Education is something we’d like to focus on here in Evergreen and that strength came from within in many instances. Katie is one of those inner strengths. The students still living having used this facility are still a connected family here in Evergreen. 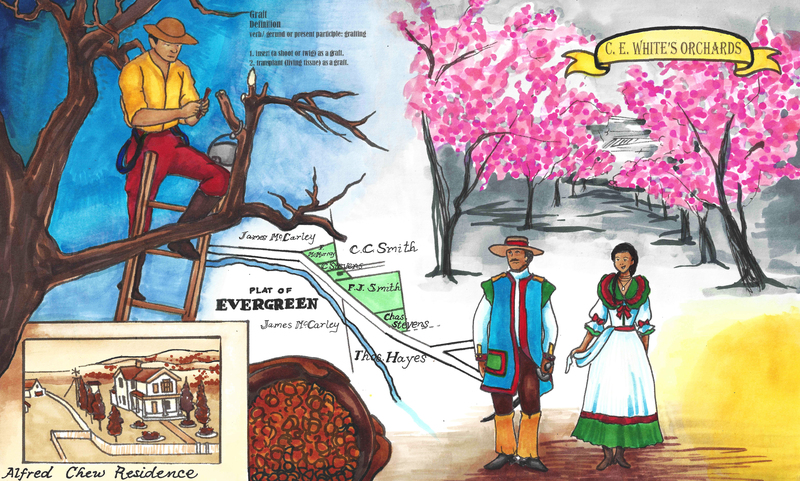 Here’s some of the artwork inspired by the early days of the Evergreen Elementary School District. This this project, I have met some amazing, exemplary women from the Evergreen Community. In fact, they have been the silent hands that guide this artwork and this narrative. Colleen Cortese inspires this work with her series of articles “Evergreen Pathways” published by the Evergreen Times, her curation of the Heritage Room at Evergreen Valley College, her historical work with St. Francis Asis Catholic Church on San Felipe Road and with her own kindness and time. Jennifer DiNapoli helped me find contemporary exemplary Evergreen individuals. Winnifred Coe Verbica is an awesome lady who had one foot in the city and one in the countryside. DeEtte Richmond Sipos is helping us look into Women in the workforce and one of the first Childcare services in regards to her great Grandfather’s business. Evergreen Elementary School District’s Superintendent, Kathy Gomez, is one of this projects and this narrative’s strongest allies. Denise Belilse runs a well-known Evergreen business in Evergreen Village Square, the Evergreen Coffee Company. Our Vice Mayor and councilwoman, Rose Herrera, continues a legacy of women leading the way in Evergreen. Women have been making Evergreen amazing, whether these ladies let me sing their praises or not. 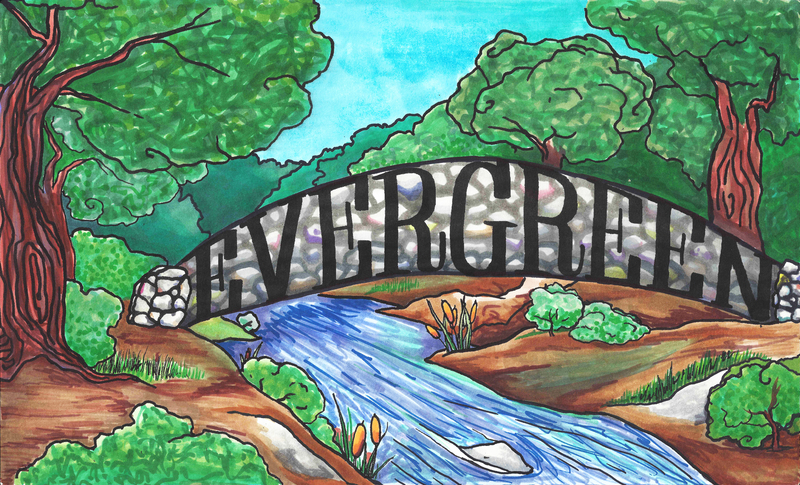 There is a Woman’s organization whose been apart of Evergreen’s identity through the years which is undeniably a symbol of Evergreen, though it has long been forgotten. 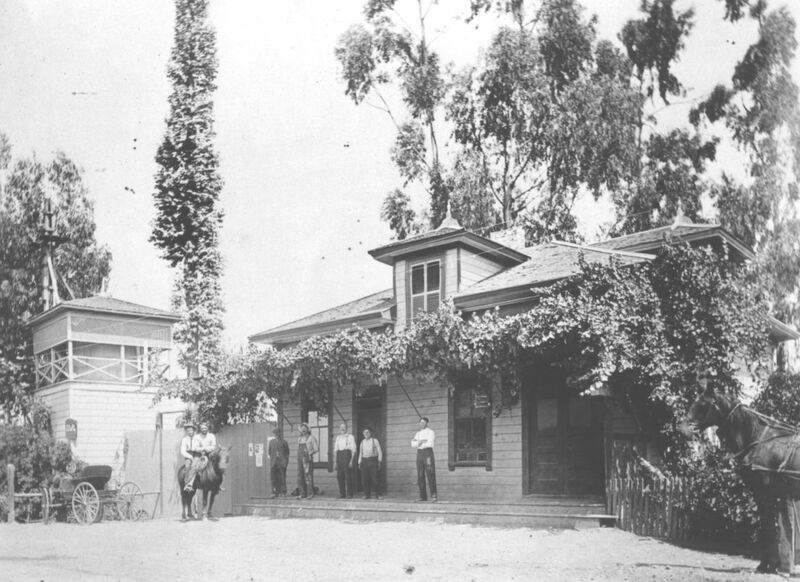 The Women’s Relief Corps Home in Evergreen can be found in publications and books published on landmarks of the Santa Clara Valley as far back at the 1890’s. This historical home on Cadwallader Avenue, then downtown Evergreen, was burnt now so it is an easily overlooked piece of Evergreen’s narrative. That having been said, the WRC is where women really show their leadership in early Evergreen. Mr. Nirum Hart Cadwallader donated the 5 acres land for the Evergreen schoolhouse on San Felipe Road and Evergreen Road as early as 1860. 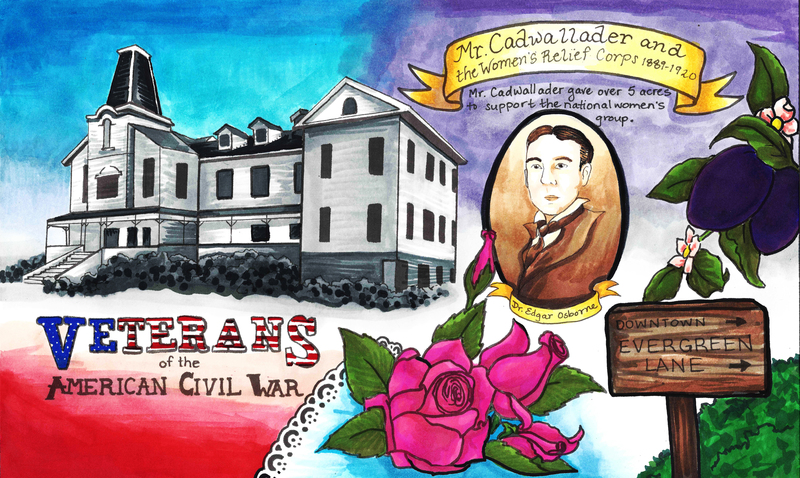 Cadwallader aslo donated over 5 acres of land for the Women’s Relief Corps, which was funded by the Grand Army of the Republic following the Civil War. The GAR was made up of Civil War Veterans of the Army and Naval forces beginning in 1866. 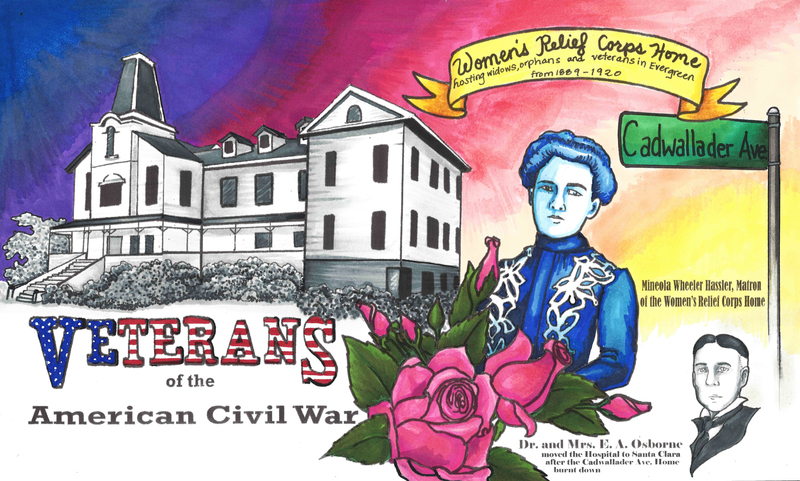 Women’s Relief Corps, recognized in 1883, were established across the United States of America to house veterans, widows and orphans of the Civil War. 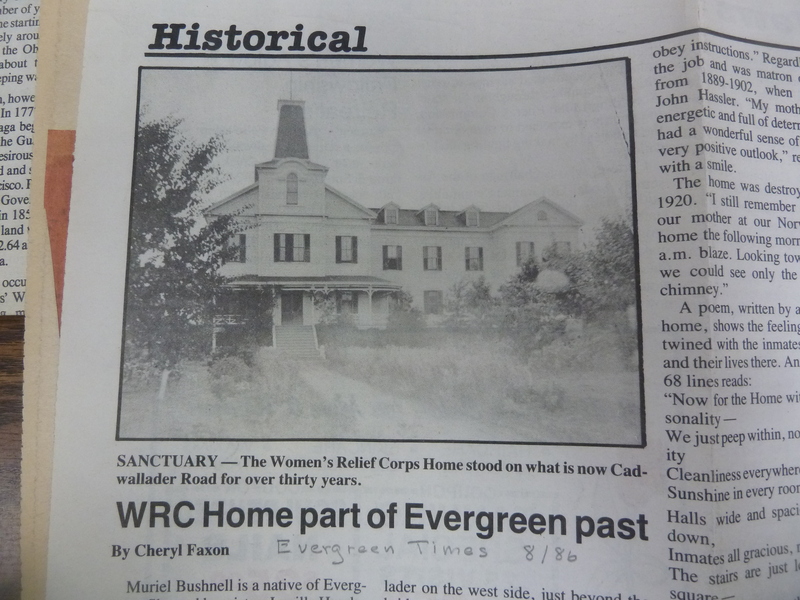 As time passed, they became hospitals for the chronically ill.
Evergreen’s Women’s Relief Corps Home was opened in 1889 off of Cadwallader Avenue near present day Thompson Creek and Keaton Loop. It was the only hospital of its kind in Santa Clara County. Though Mr. Nirum Cadwallader originally from Ohio continues to be a mystery, his contributions made to township of Evergreen, then a farming community, made it a more connected, hospitable, praiseworthy place. Mrs. Bayington was once of its earliest Matrons. Evergreen’s WRC would take on patients from around the country, seeking sanctuary from the devastation and injuries of the American Civil War. Another place where the Women’s Relief Corps Home reoccurred in my research was looking into well-known Evergreen families. Mineola Wheeler Hassler (1874-1958), pictured here to the left was the Home’s manager in 1899. 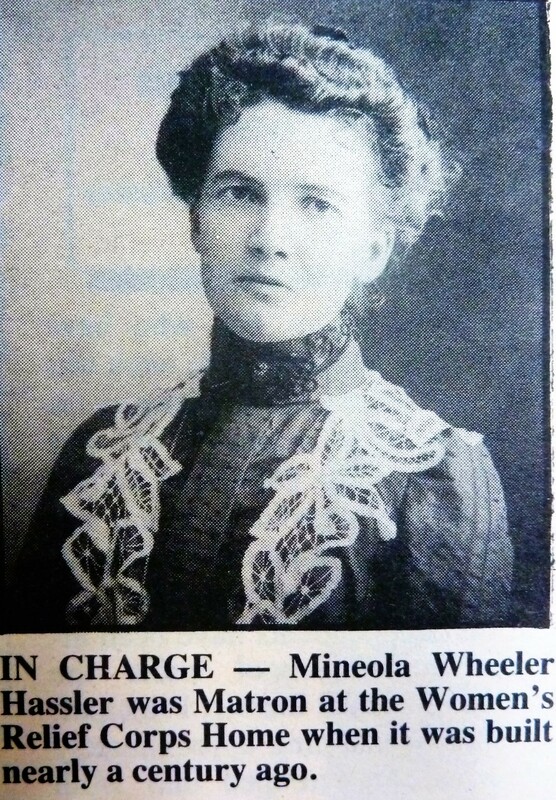 Miss Mineola Wheeler married German immigrant and Evergreen land owner John Hassler in 1902 at her parents home. 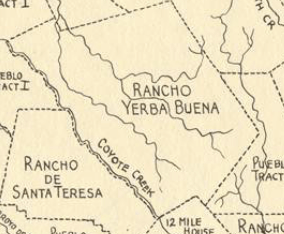 The Hasslers, after buying up land from Rancho Yerba Buena with the Kettmanns following land disputes, would come to own the ranch which is now known as “The Ranch Country Club” and Hassler Parkway area. The Hassler family’s bright red barn was very notable and even a point of tourism in the 1920’s. 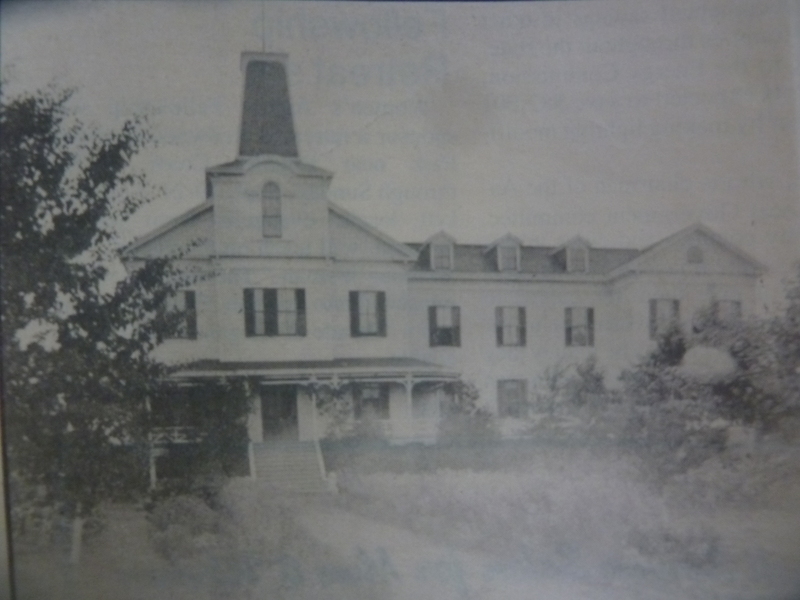 Mineola would be employed with the Evergreen Home in 1896 and then become Matron of the Women’s Relief Corps in 1899 until 1902 when she married Mr. Hassler. 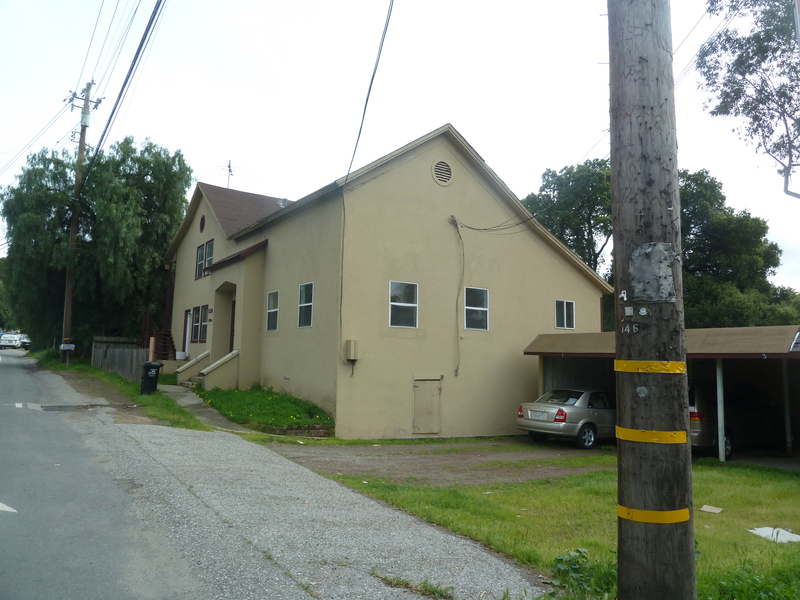 She would raise her family where the now vacant fire station stands on Aborn Road. The Women’s Relief Corps home would burn down in 1920 flames being seen as far as Norwood Avenue. It’s suspected that an ill patient lit the fire that seized the home. With California’s famed Golden Girl, Mrs. Geraldine Frisbie, the Evergreen patients were then transferred to Osborne Hall in 1921 in the township of Santa Clara. 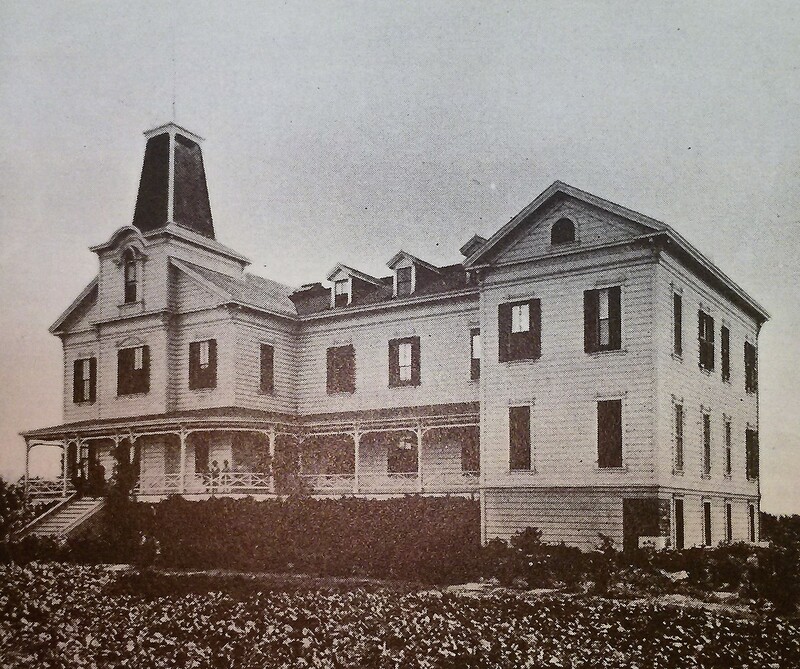 Santa Clara’s Osborne Hall, established by Dr. and Mrs. E. A. Osborne, would later develop into Angew Hospital. It would be one of the first hospitals for the feeble-minded, as Dr. Osborne pioneered the field from the 1870’s forward. 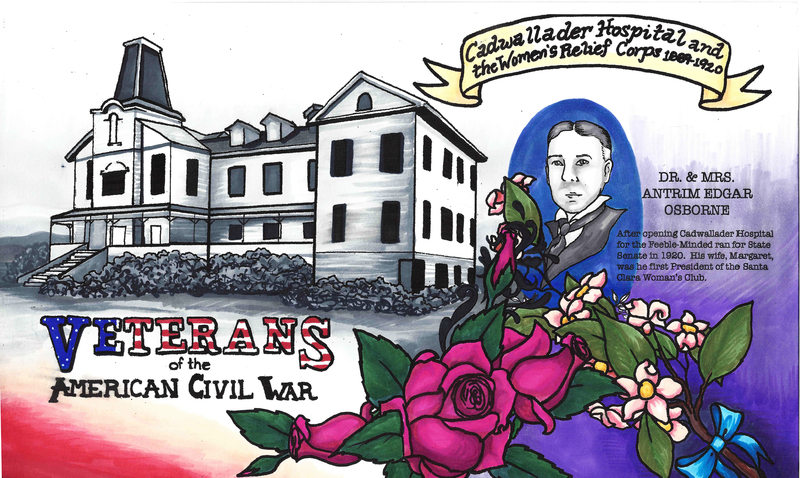 With the GAR dissolving in the 1950’s, as Civl War veterans, widows and orphans were passing away, it repurposed the valuable sanctuary/hospital hall. The artwork, in kind, for this piece of Women’s History in Evergreen, has done some developing as the leads get followed and the story becomes clearer. Here are the pieces we’ve worked up for the WRC with the last being the latest. Along the research for this Evergreen project, I have met the most fantastic people. If this guy needed a new best friend, I would be first in line. I discussed with Honorable Judge Gerhard J. Kettmann (Jerry) the four generations of his family who blossomed in Evergreen and continue to call Evergreen home today. He’s the ultimate expert, having written a book and working on another about their family history. 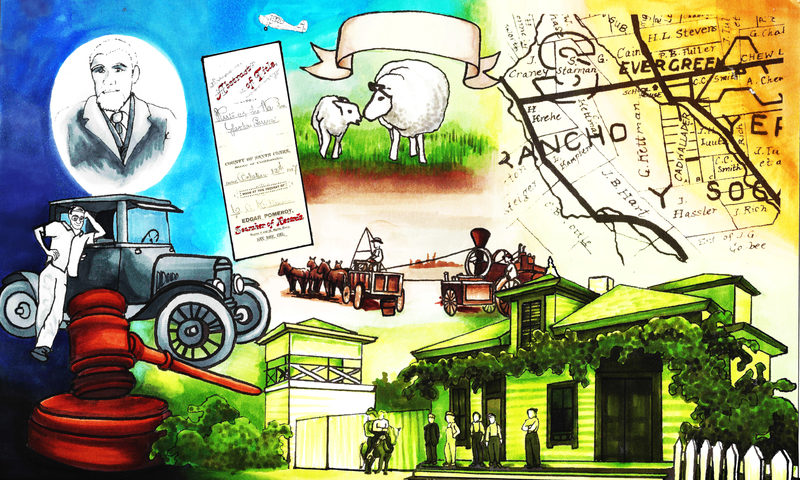 What is extraordinary about the Kettmann family, making it a crucial piece of our mural series, is their witness to almost 150 years of Evergreen’s development. We will start by discussing how the Kettmann’s came to America. The United States is a country of immigrants. We would all come here from somewhere else. I think that’s the first thing that bonds all of us Evergreen residents together. Johan Hermann Gerhard Kettmann (George) was the youngest of 8 siblings, born in 1827 in Kettenkamp, Germany. His someday wife would be another German immigrant growing up only 8 miles away in Germany. Gerhard Kettmann would leave his Native Country of Germany at the age of 22 and arrive in the Port of New Orleans in 1849. 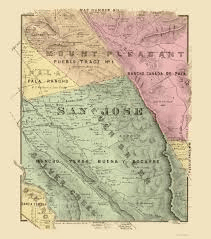 Gerhard Kettmann would travel from Louisiana through Panama to come to Sutter County, California in 1853 and pan for gold. With a little luck along the Yuba River and Feather River, George would come to purchase 160 acres of land in Sutter County. 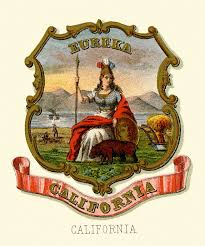 George Kettmann would marry Bernadina Torbrecke in Marysville, California, but there’s a very cute folkloric story to this pairing. Dina was first cousin of the Krehe Family, who would also come to live in Evergreen. 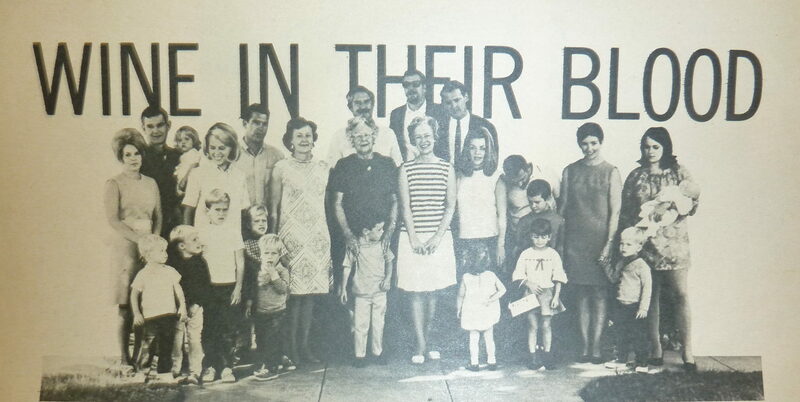 Henry and Bernard Krehe would invite their unmarried family members from Germany to come to the United States. George Kettmann, being close friends with the Krehes, got to make his pick first and chose Bernadina. Whether that story was true or not, the German couple was married in Marysville, California in January of 1858. George and Bernadina Kettmann would have eleven children. 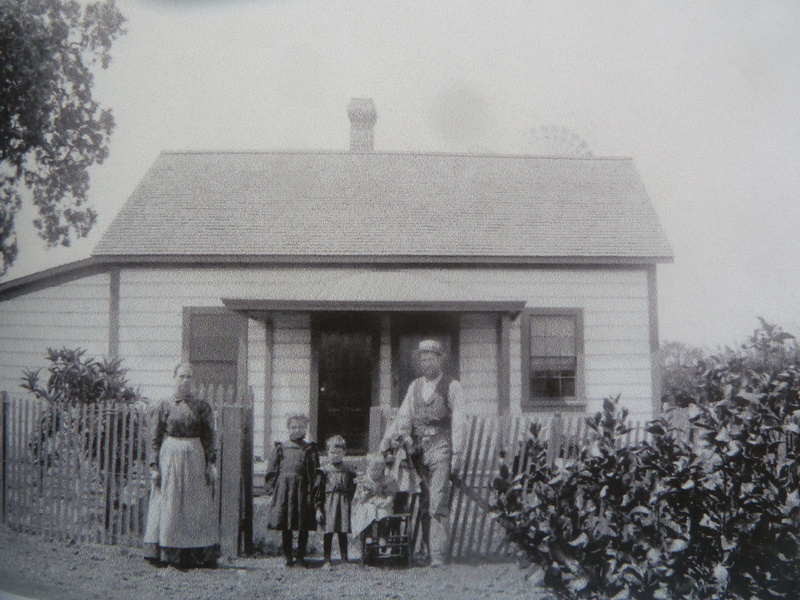 The Kettmann clan would begin grow in Sutter County on the acreage along the Feather River, operating a general store known as “Five Mile House”. 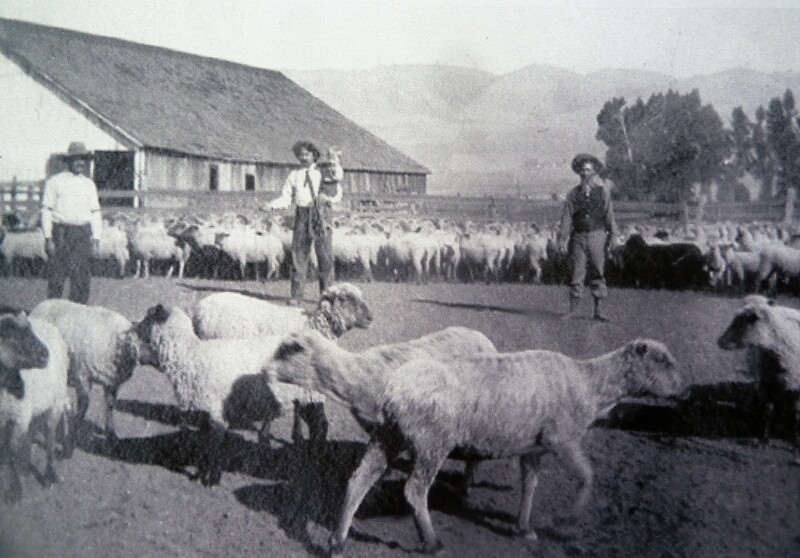 In addition to the store along the highway, George also would raise a herd of sheep and cattle on his 160 acres before moving the whole herd, family and all, to the Santa Clara County. 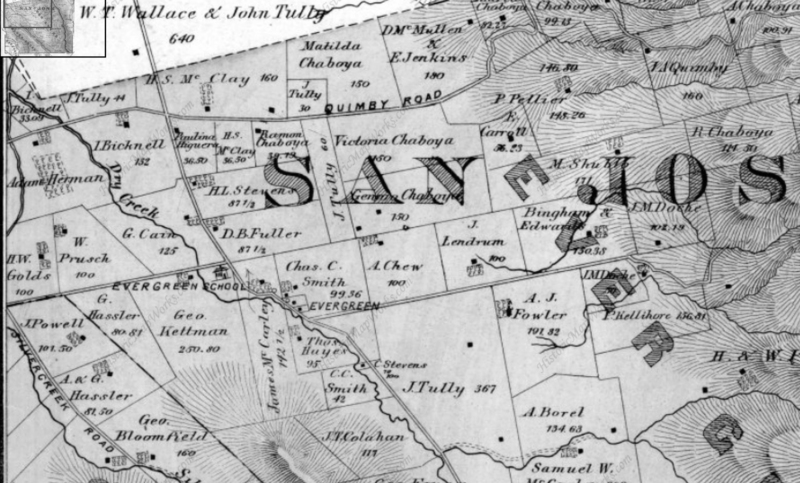 George Kettmann showed interest in Santa Clara County in the 1850’s, after traveling their with a family member. With the new variety of fruit being introduced to the agricultural field stimulated by Luis and Pierre Pellier, Kettmann made his move to Evergreen, then a tiny farming town. 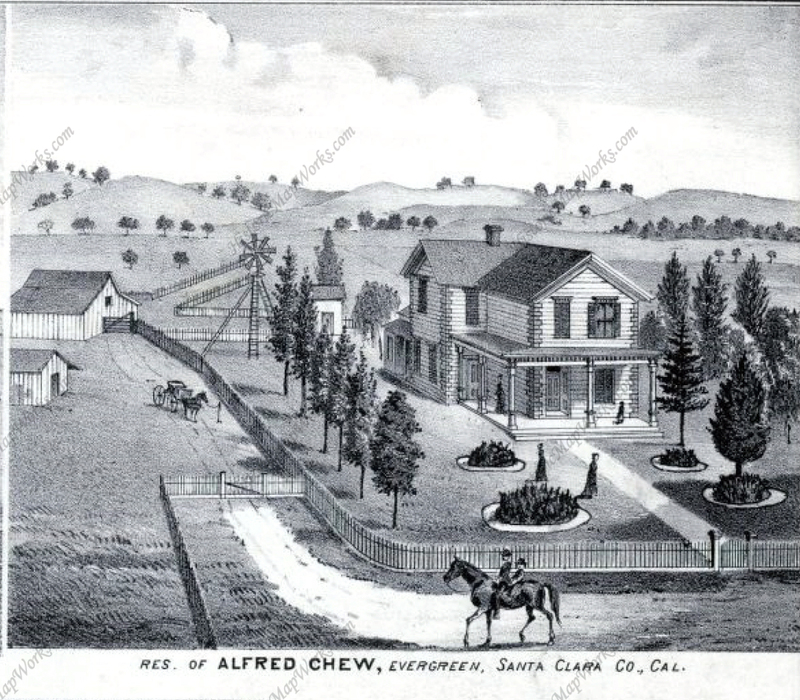 George Kettmann would purchased a portion of Rancho Yerba Buena in 1867 near downtown Evergreen along Evergreen Road. In fact, this first Evergreen parcel purchased by the Kettmanns belonged to the Chaboya Family’s attorney, William Matthews, and had been paid land in order to settle those legal fees. This initial parcel was a perfect 150 acre rectangle with the exception of the land that had been donated to the Evergreen Elementary School. 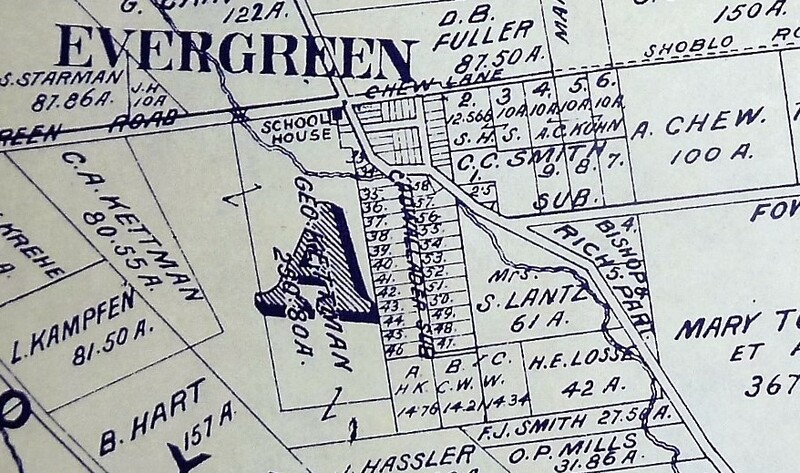 Evergreen’s schoolhouse would be where the shopping center with the Valero and Wells Fargo is today. The Evergreen Elementary School would be located here until 1892, when it moved a little down San Felipe Road. Kettmann Road at Aborn Road is very near this school site, but it would’ve been on the other side of Thompson Creek, then Dry Creek. Let it be known though that even the attorney didn’t donate this land. That carried over on the Title from the previous owner, Mr. Cadwallader. The Kettmann family didn’t stop with that first purchase of 147.7 acres in downtown Evergreen. 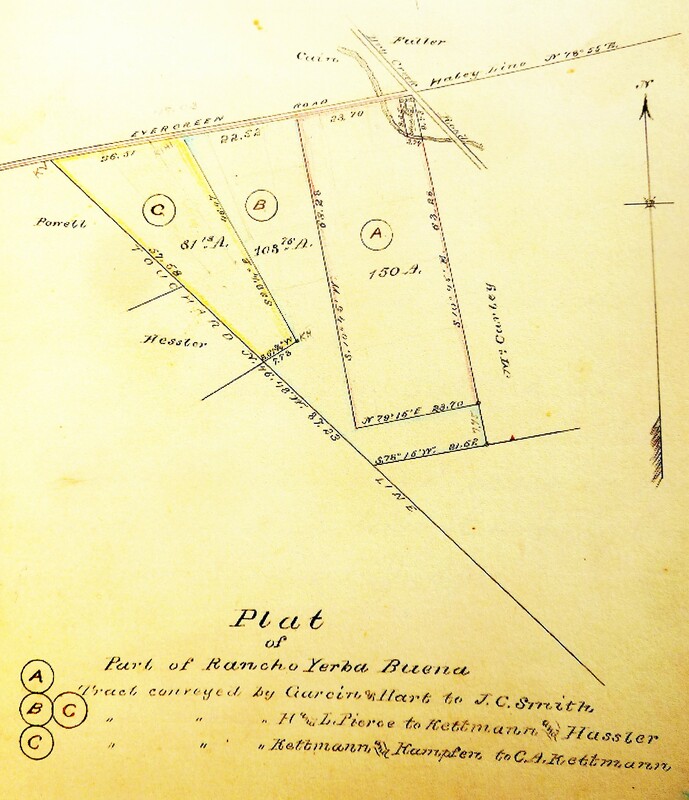 Through an interesting purchase and exchange of land with fellow German immigrants, the Hassler family, the Kettmanns obtained another 103.10 acres in 1875. The Hasslers and Kettmanns separated the properties along the Touchard Line, which falls on part of present day Neiman Boulevard. Modern day Kettmann Road, where the Evergreen Library Branch is located on Aborn Road, runs between these two land purchases. As Evergreen folklore would have it, this acquisition was the only purchase Antonio Chaboya’s family actually profited off of after their debts were settled trying to evict their new neighbors. 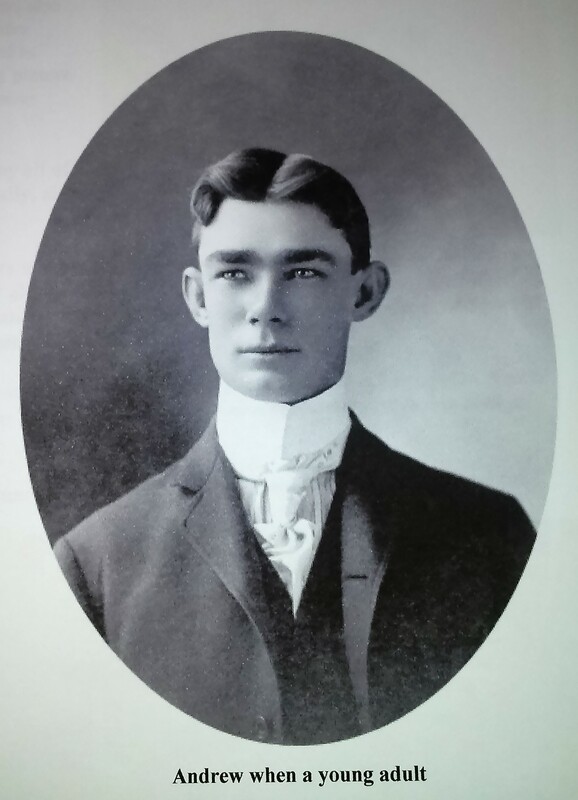 In 1881, one of George Kettmann’s sons would become an Evergreen landowner as well. 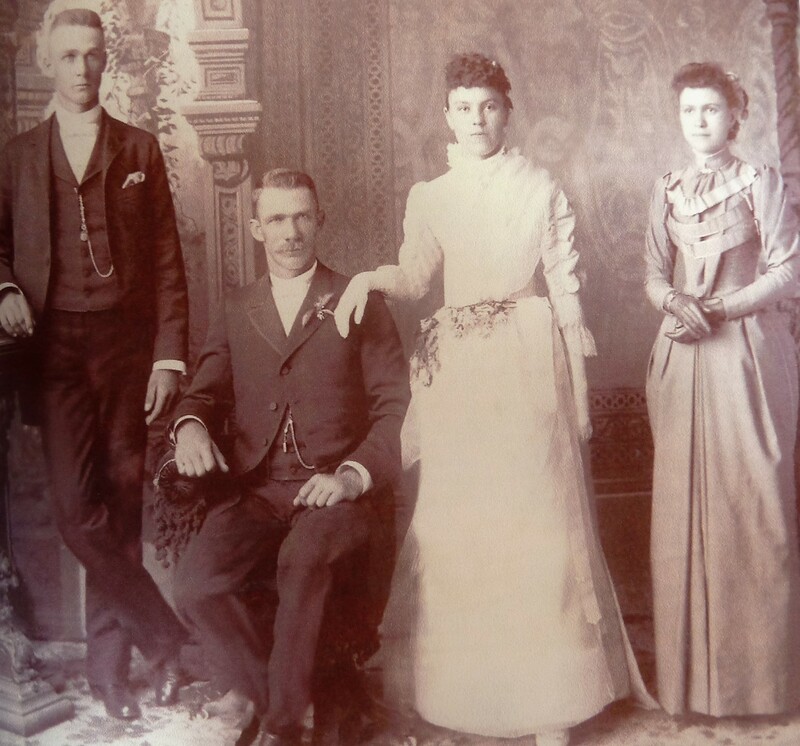 The eldest of eleven siblings, Clemens Andrew Kettmann was born on the Marysville ranch in 1858, less than a year after the couple wed. Clemens would’ve made the journey with his father, George, the large sheep herd and fellow cowboys to Evergreen in 1868. Clemens Kettmann was the only son to make the journey at 9 years old. Young Clem only had sisters at that point. The trek from Marysville with the herd must’ve taken over a month on horseback. The rest of the family would come in 1869, after Dina gave birth to another sister. From the Evergreen homestead, the clan would continue to raise livestock but also incorporate fruit, vegetables and grain into their business strategy. Homestead Laws would allow families to obtain a certain portion of land from the government after cultivating it for 5 years. The Kettmann Family as a group diversified this ranching strategy in the heart of Evergreen and accentuated their grazing potential with homestead purchases along the back side of Mt. Hamilton Ranch. These adjoining Mt. Hamilton homesteads weren’t fantastic for farming, but it could and would be done with altered harvesting equipment. The Kettman clan had so many acres in the Mt. Diablo Mountain Range, this area would become known as “Kettmann Range”. Lamb and sheep would be a rarity in Evergreen and San Jose at this time. Cattle ranching would’ve been totally ordinary and generally what had been grazing throughout Evergreen for some 50 years beforehand. The Kettmann clan held on to their German heritage by passing on this tradition. Clemens Kettmann would come to purchase the adjacent parcel to his father’s in 1881, then 23 years old, from Louis Kampfen, another German farmer, who obtained his portion after the Hasslers from the previous Hassler/Kettmann deal. This was 80.18 acres large, literally being the family’s “80 acres”. Kettmann’s friends and cousins, the Krehe Family, would also move in nearby. There was quite the hotspot of German American culture in early Evergreen, with the Smith’s and Stephens Families nearby. Clemens A. Kettmann would marry a German-American lady, Mary Vollmer, in 1890 at St. Joseph’s Basilica in downtown San Jose. Mary wore an apricot colored dress, how fitting. Clem Kettmann and Mary Vollmer would have seven kids on their Evergreen homestead. This labor force, along with his younger brothers at his father’s homestead next door, would help Clem Kettmann cultivate the land. Having a big family in the 19th century was a big deal. You needed help working on the farm. In fact, having eleven children wouldn’t be enough to operate ranches as large as these. The Kettmanns would employ help in the house and on the farm. 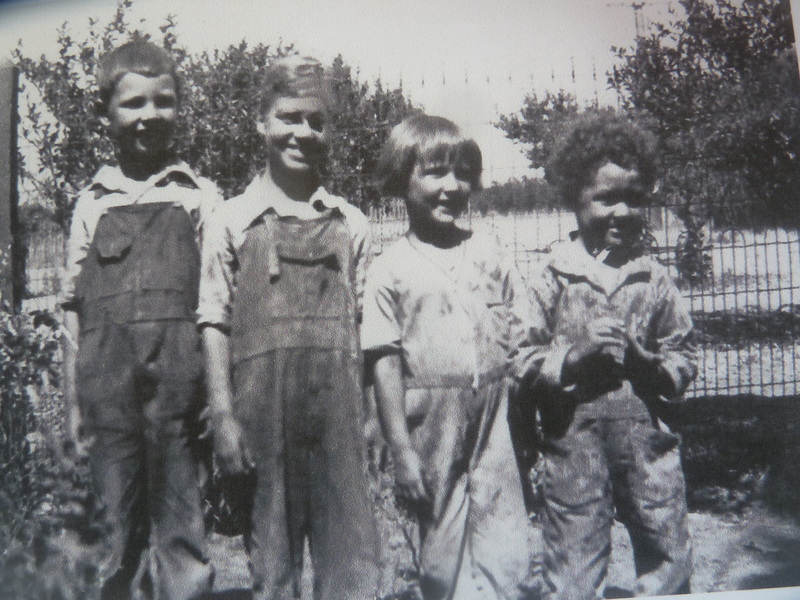 The children would start picking fruit between school breaks and into adulthood would sew sacks and become a part of the traveling crew harvesting crops all over Evergreen. Harvests were true team efforts. A barter system would be reached for labor and harvesting. Horses were in high demand for plowing and the like. Labor was generally $2.00 a day for a horse and a man. 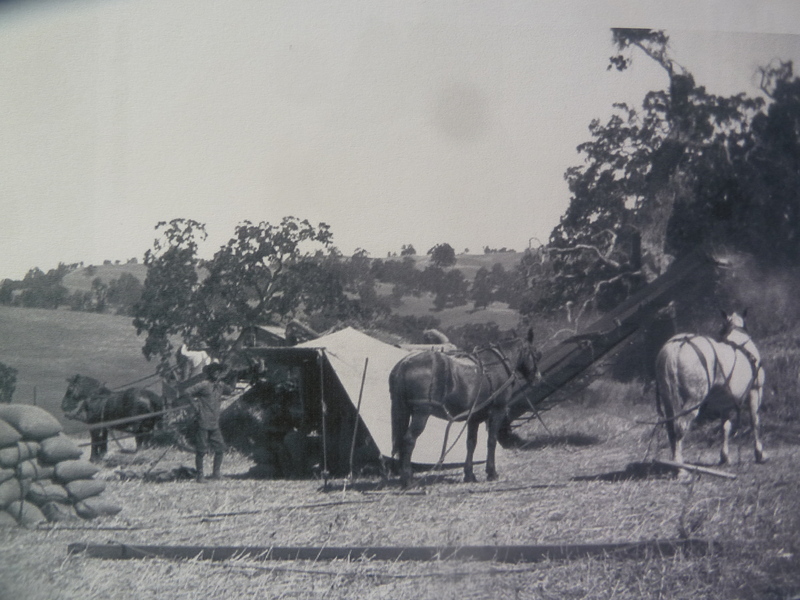 This was a typical scene from the Fowler Threshing Syndicate, harvesting grain. Evergreen was a teambuilding utopia back in the day. Strength in numbers seemed to be a focus. Generations of the Kettmann clan would grow up in Evergreen alongside the Industrial Revolution. George Kettmann would’ve farmed just like he had learned to in his Native Germany, very much by hand. 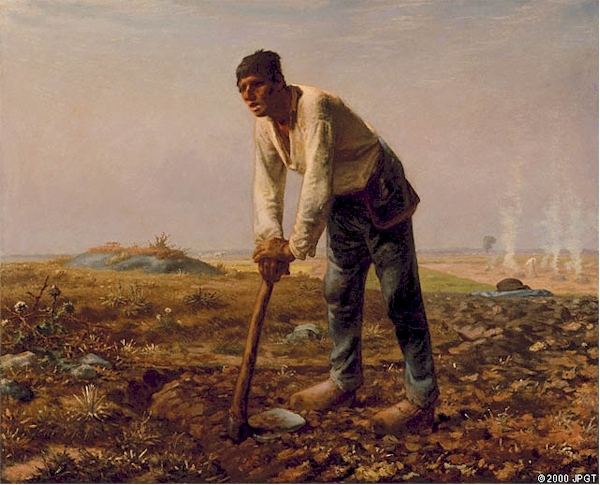 The Farming Industry during this time would transition from horse and plow, pitchforks, sickle and scythe to tractors, threshing machines and haypresses. 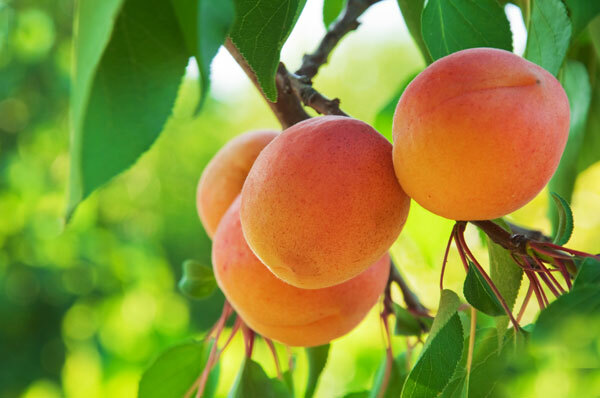 George’s youngest son, Andrew Kettmann, would develop tools for apricot harvesting. Clem’s children, too, would’ve hand first on experience transitioning from horse pulled threshing crews to tractor or truck pulled rig. The Kettmann clan would continuously learn to adapt their farming techniques as the technology improved. 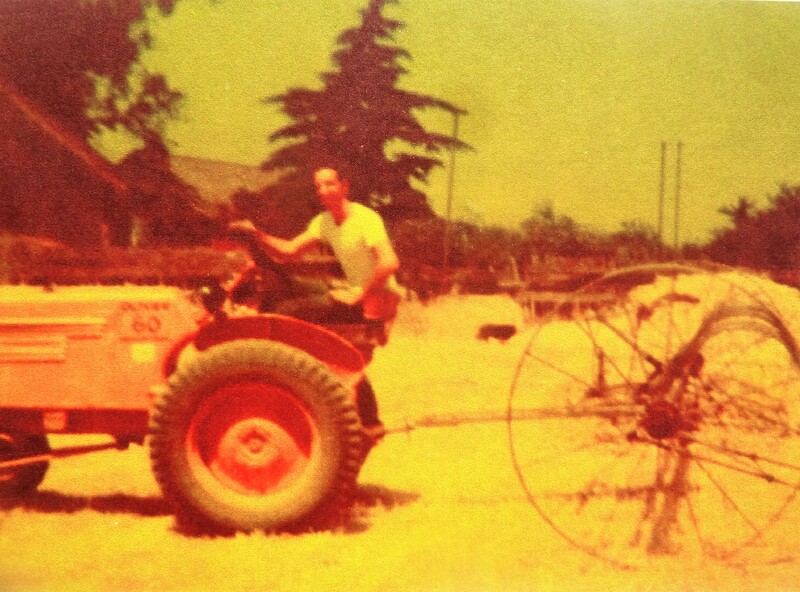 In the 1920’s, Clem’s son, Julius, would open a garage to help fix machines in downtown San Jose after adapting and fixing machinery on the family homestead. This legacy can be seen as descendants now operate the Kettmann Machining, Inc. in San Jose. George and Clem would both plant orchards on their properties. Clemens Kettmann would plant several acres of apricots with their commercial stock going way up. Mixing his varieties of apricot, Clem created a sweet apricot which was also large and ripened evenly. Clem’s sloped property presented irrigation problems for portions of his orchards. He found the unirrigated crop was sweeter but smaller than the other harvest. These were his apricots. He would find the same to be true of his corn crops. Those that were naturally watered were naturally sweeter. The Kettmann families would plant several acres of prunes and cherry orchards along with their apricots. The clan also had several acres of vineyards also at their Evergreen property. 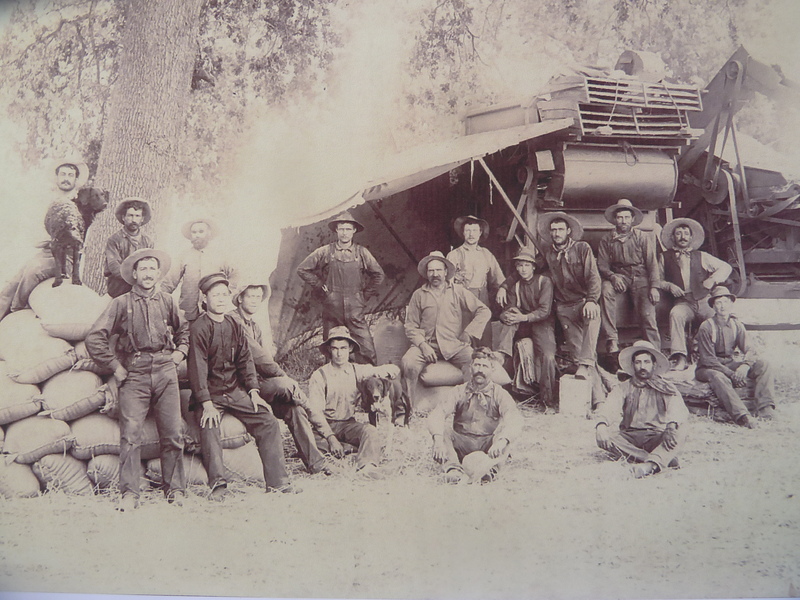 Threshing crews would cultivate over a hundred acres of grain, oats and alfalfa from the Kettmann farms. I never thought about it before, but horses take a lot to feed. If you have horses for plowing, you need acres just to settle your own horses. The Kettmann family would continue to grow and branch out in Evergreen. Into the 1900’s their children would take over the roles running the farms and ranches after their education. Prohibition cause a lot of vintners to pull up their grapevines and retire their wine businesses. 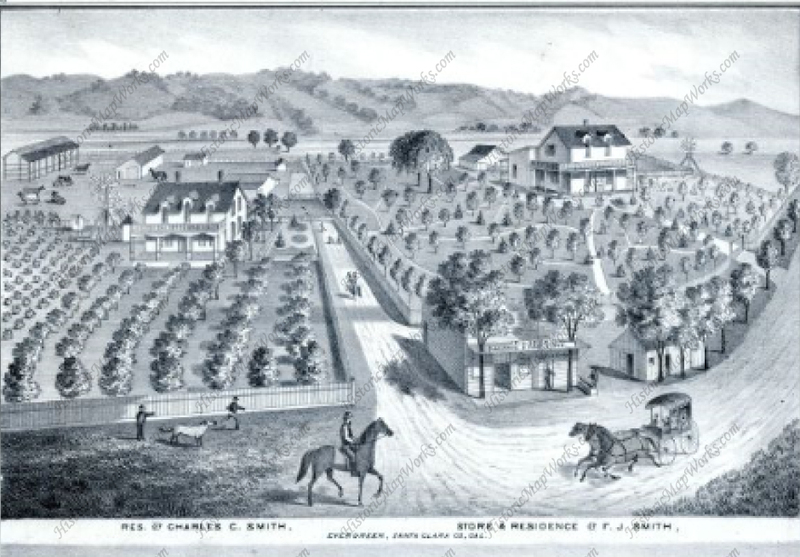 The Kettmanns did not however and made a small fortune continuing to sell grapes for underground wine operations. 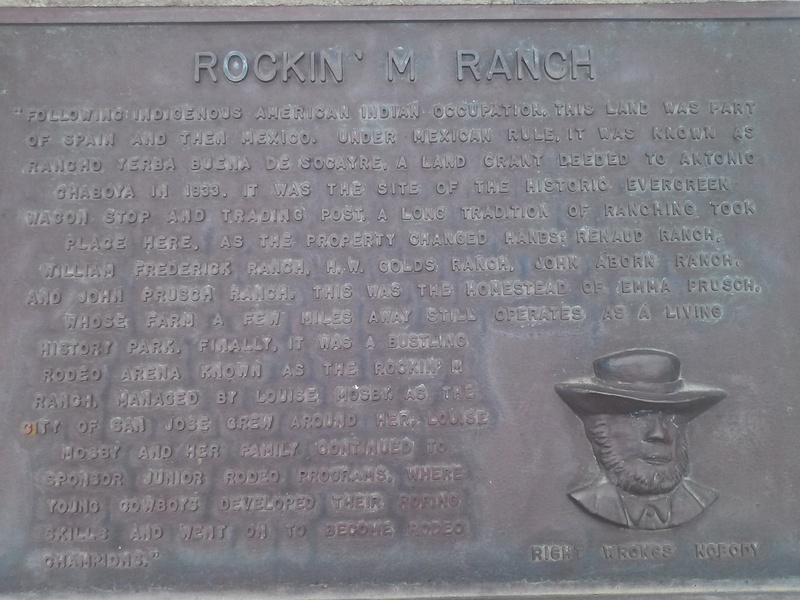 Between these ranches and the Kettmann Range, the Evergreen family was sitting pretty. The German American Inventor and all around funny guy, Andrew Kettmann would grow up sewing sacks for grain and maintaining the family farm. George’s son and Clem’s youngest brother, Andy Kettmann would open downtown Evergreen’s second Saloon along San Felipe Road. Andrew Kettmann’s Saloon became increasingly popular amongst quicksilver miners through World War I. This spot would be a hub of culture until 1920 when Prohibition was enforced. Until then, many tipsy tales were told out of Andy’s Saloon. After George’s passing in 1912, his property would be equally divided amongst his eleven children. The Kettmann Family Ranch would continue to modernize with Clem’s son’s, Louis. 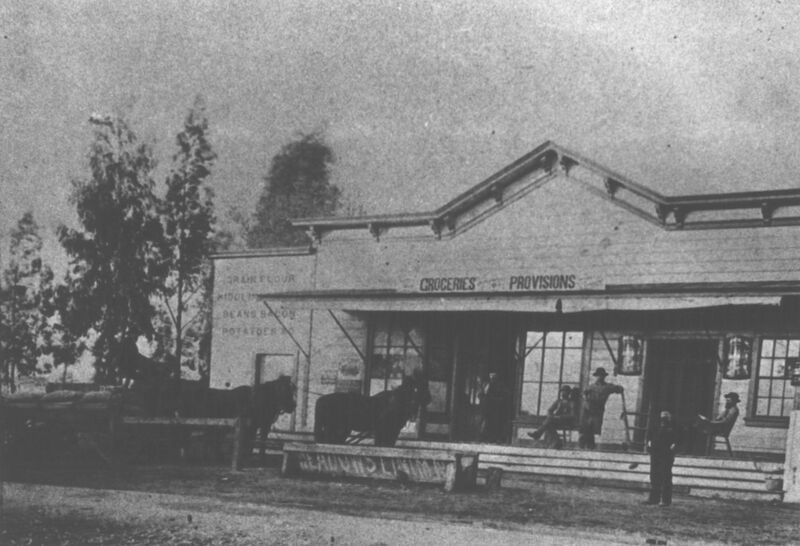 Louis Kettmann would take Clem’s horse powered ranch into the present with the purchase of a tractor built from tank parts. Large mechanical farming equipment would need to be leased or the old machinery would need to be updated. The rural Village of Evergreen was rapidly changing through the early 1900’s. Cars were a blessed invention and roads would be paved, but open space began to dwindle. That free path to the Kettmann Range through Downtown Evergreen would close up. Clem would pass in 1943. The Kettmann family continued to expand, but some would start breaking away from the family business to pursue their own goals. Farming in Evergreen would become more scarce as more residents starting moving in. Managing the wasn’t easy business as my interviewee would realize firsthand. In the summer of 1947, Judge Jerry Kettmann, then just known as Jerry, would lease hay land from Grandma Mary (Vollmer) Kettmann. It was Jerry’s idea to make it rich that summer and buy a convertible to take out coeds from San Jose State. 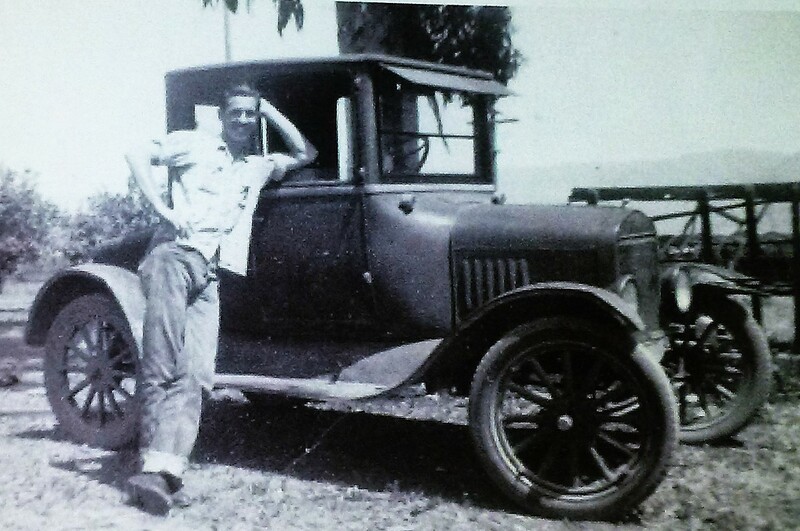 This same model T, pictured here with Jerry taken over that summer, pooped out in the middle of the road off San Fernando and 4th Street near the University. Jerry called his cousin to help push the car out of the roadway and into the gas station it pooped out yards away from. Jerry Kettmann would sell off a nearly paid-off tractor to cover his losses and pay his grandmother back that summer. 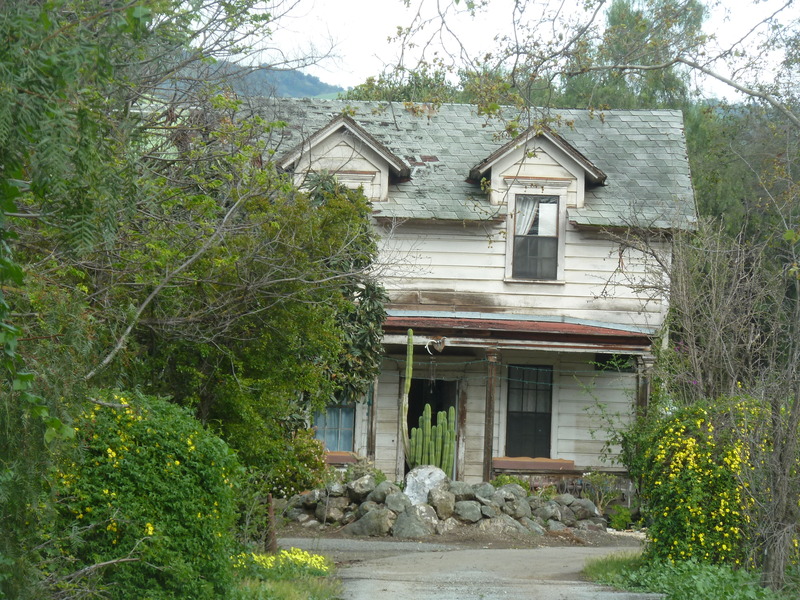 George’s great grandson and Clem’s grandson, Judge Gerhard J. Kettmann, was born in 1926 in Los Gatos but would soon relocate to his father’s Evergreen homestead. As a boy, Jerry would attend Evergreen Elementary School, then Roosevelt Middle School and San Jose High School. Kettmann recalls family get togethers with the Chaboya family as a child. Jerry would throw apricots like snowballs, run through vacant mine shafts and sleep in homemade treehouses in Evergreen. Judge Kettmann is a huge fan of flying, a fondness he developed on an aircraft carrier in World War II. 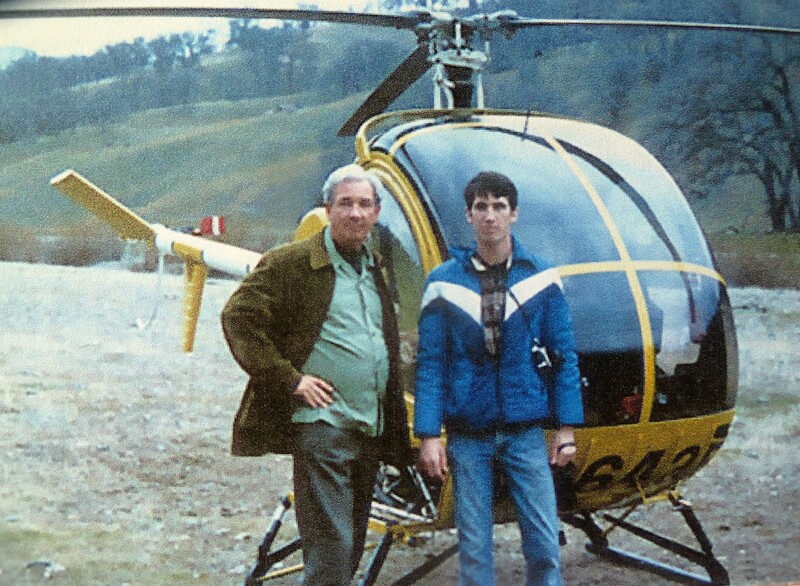 Kettmann’s father and grandfather could’ve told him tales of Montgomery’s pioneer flights from their own experience. After serving in the Navy in World War II, Jerry Kettmann later worked in the railroad as a fireman, at the Baron-Gray Packing Company packing fruit and then at the Post Office downtown before attending SJSU for Aviation Engineering then Business and Economics. Sadly, young Jerry’s 1947 dream of striking it rich quick would never be realized. The Honorable Judge Jerry Kettmann was accepted to Stanford Law in 1953 but instead attended UC Berkeley, where he graduated in the upper third of his class. Judge Kettmann began working as a Trust Attorney for Wells Fargo, but left to pursue trial law with the District Attorney’s Office. Though Judge Kettmann is partial to Civil Law, he told me about 85% of the cases he saw on the bench were criminal cases. Judge Kettmann would oversee cases at the height of the Civil Rights movement, even appearing in front of an Angela Davis case. Rioters would shout things and try to frustrate Judges. It wouldn’t work on Judge Kettmann, though. He removed their signs and have them properly tagged by court officials as the defending attorney tried including them as evidence. 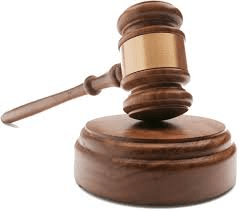 Judge Kettmann would find himself arbitrating through the later part of his career. Judge Gerhard J. Kettmann would retire from the Law and write from his Evergreen home. The Kettmann family historian carries a tradition that began about 150 years ago in Evergreen. Judge Kettmann, though groomed on the farm, managed to keep up with the quickly changing times. 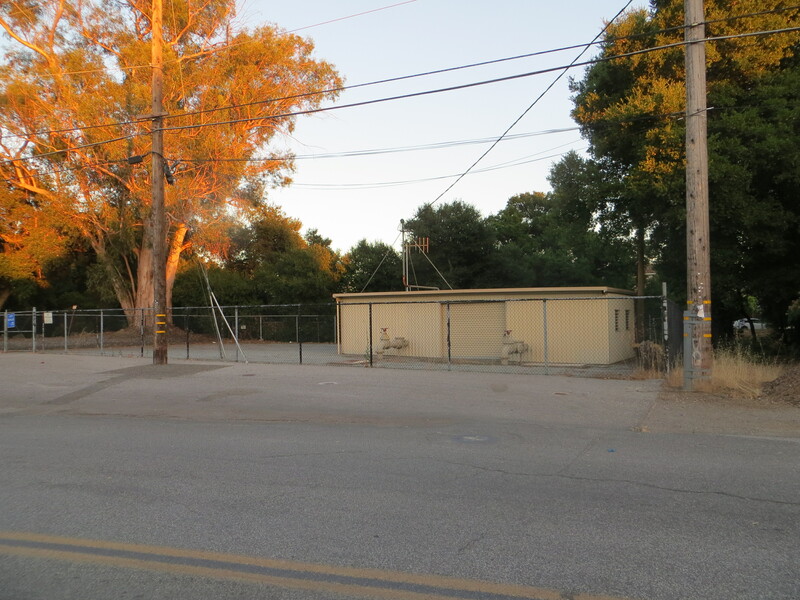 This area of Evergreen, between Kettmann Road and Neiman Boulevard was developed beginning in the 1960’s. At 89 years young, Judge Kettmann’s enthusiasm is contagious. Really, I am so proud of my Evergreen people. It makes my job so easy when they are great and have great stories to tell! Here’s the artwork we have worked up for the Kettmann Family. The Way to San Felipe, our previous article , talked all about this old Spanish Road and what it connected. I got a little more clarity from an Evergreen Native who knows it from experience. White Road changes to San Felipe as it crosses Aborn Road. It cut in half Rancho Pala, which was purchased by Charles White, who arrived in town in 1833. Only a sliver of this Rancho makes it into our Evergreen borders. 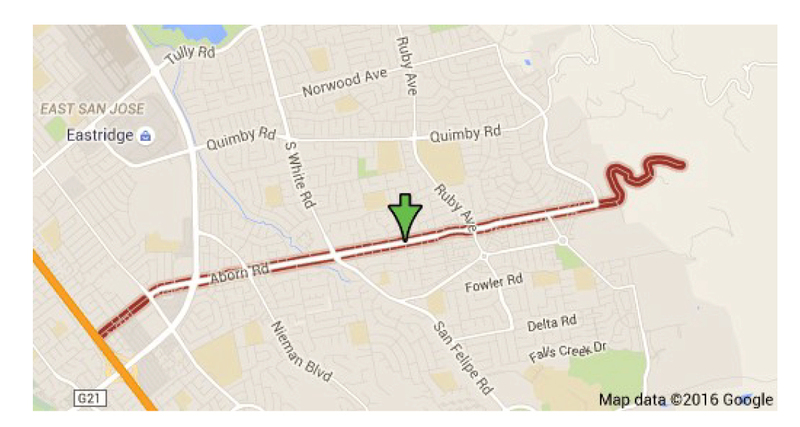 Rancho Pala ends at Norwood Avenue. 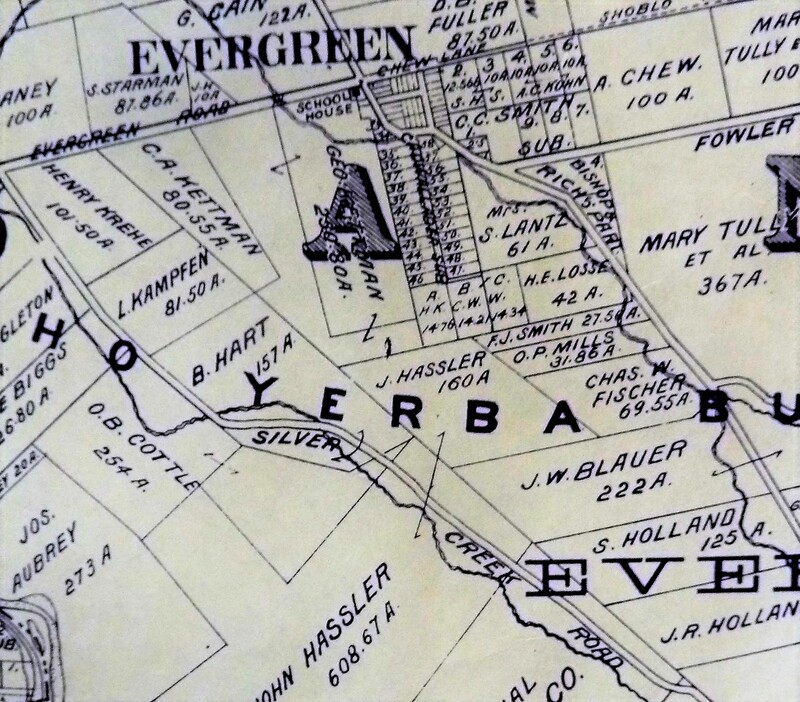 Further down the road, present day Aborn Road has had many names, Evergreen Road, Chew Lane and Aborn Road. That inconsistency makes orienting yourself on different maps a little difficult. It is at the intersection of Evergreen Road and White/San Felipe Road where the town of Evergreen really developed. You’d never know it by the looks of it today. Quimby and Tully Roads have switched spots and Capitol Expressway is a fairly new roadway. This makes it rough, too, but it’s okay. We’re talking about San Felipe Road here. 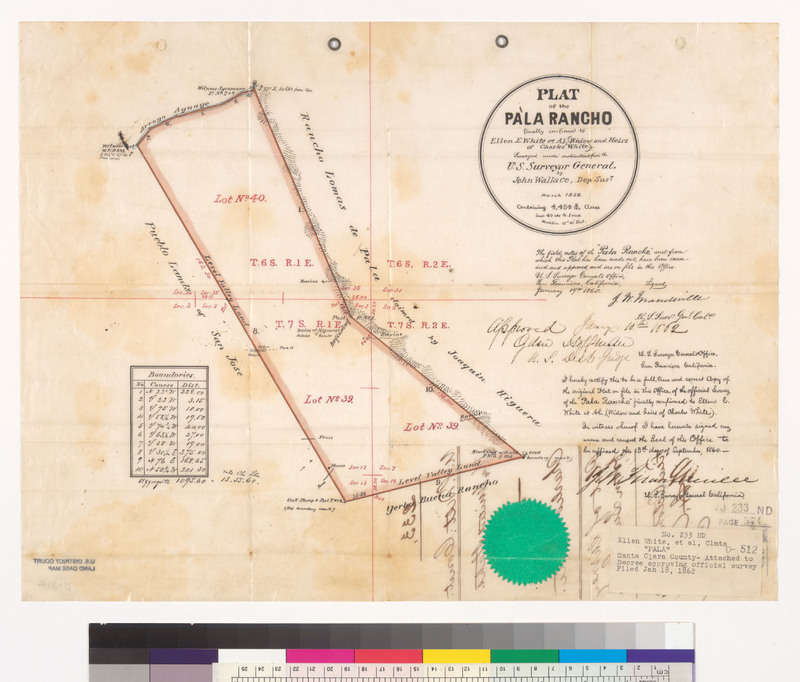 Previously, I worked the current Google map of San Felipe Road against an old Spanish Survey to Rancho San Felipe. They were close enough for me to feel like I was looking at the same roads. I accounted for some inaccuracies because it’s so old. The lake is Lake Cunningham, but ought to point North and doesn’t. The compass notes rather where water flows down from. 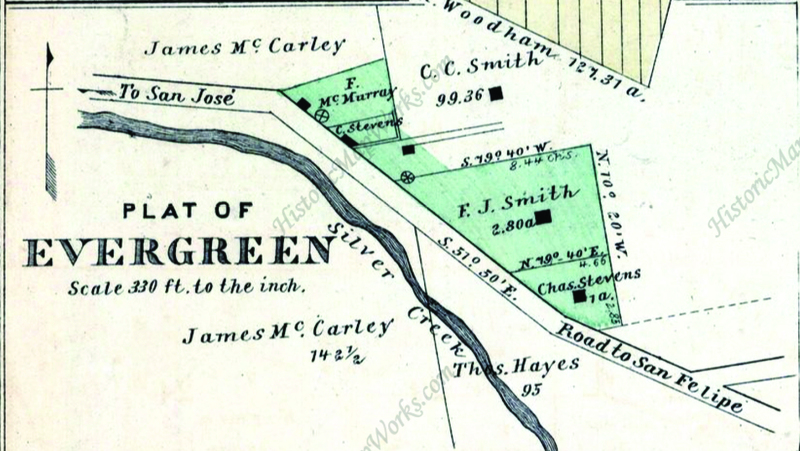 Also, in 1800’s versions of Evergreen maps, San Felipe Road travels next to a creek bed and I couldn’t think of where that would be. 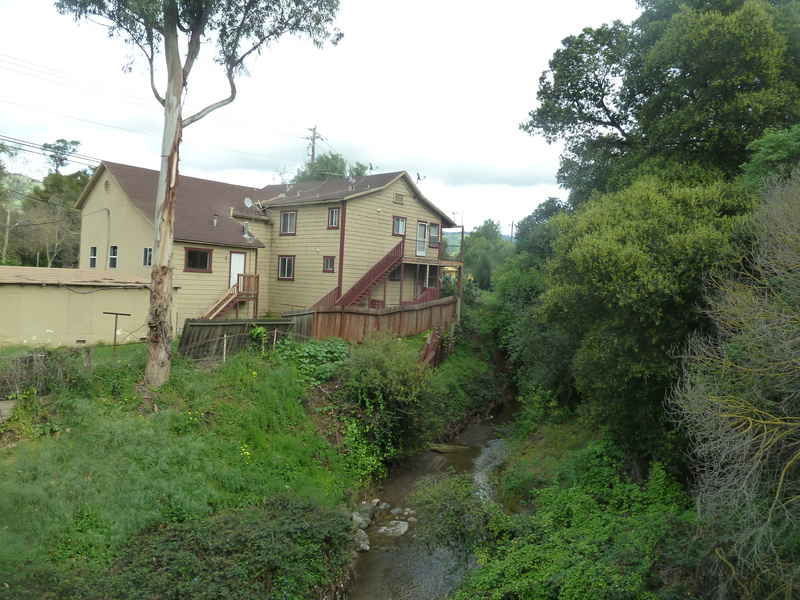 The Creek is closer to Kettmann Road and the Evergreen Library Branch. But when I sat down with Evergreen’s Judge Jerry Kettmann, he brought a little more light to the subject and old geography. 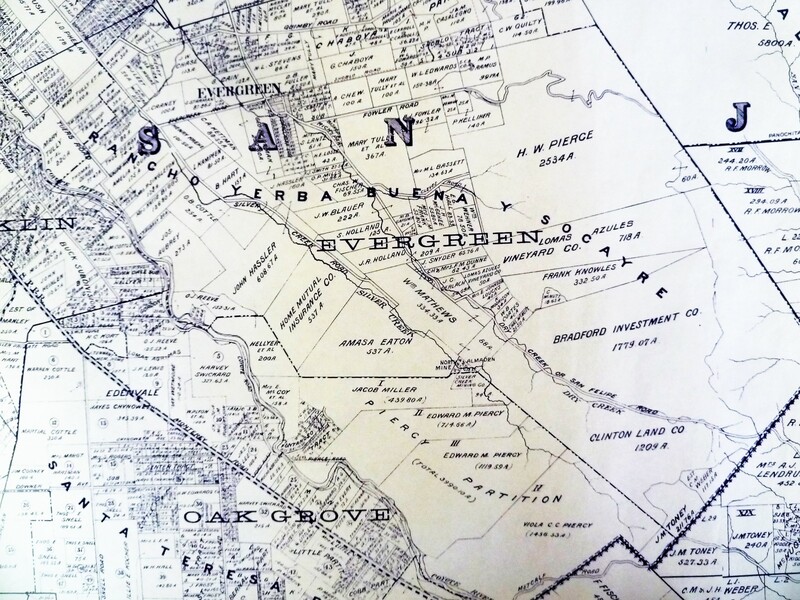 This is a 1876 Map of Evergreen. Judge Kettmann’s uncle, Andy Kettmann owned a Saloon located on San Felipe Road. There are some pretty awesome tales out of the Saloon, but I won’t be spoiling those or Jerry’s interview for you at this time. His Honor comes from a long line of colorful characters, though. He took me for a little drive and helped me get an understanding for what “Downtown” Evergreen was. This is a Map from 1902, true to North. 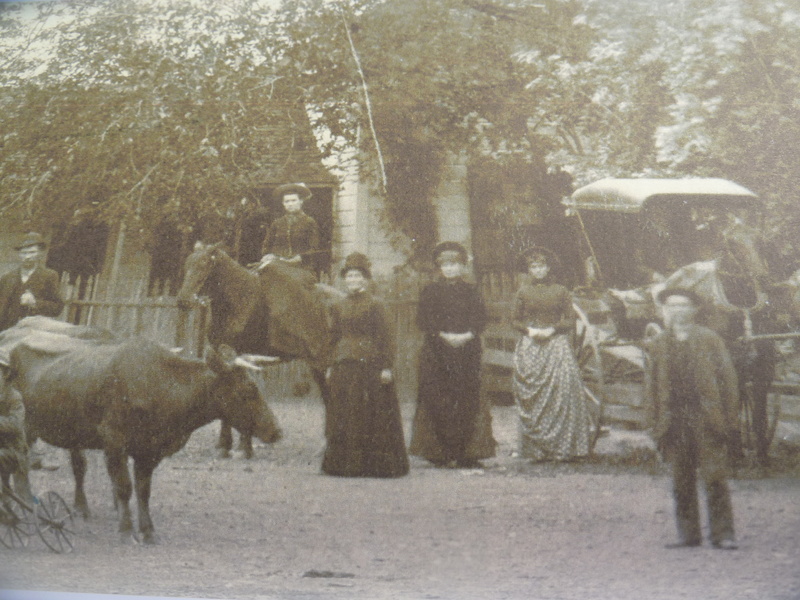 The Smiths were the first family to have moved into town in 1866. 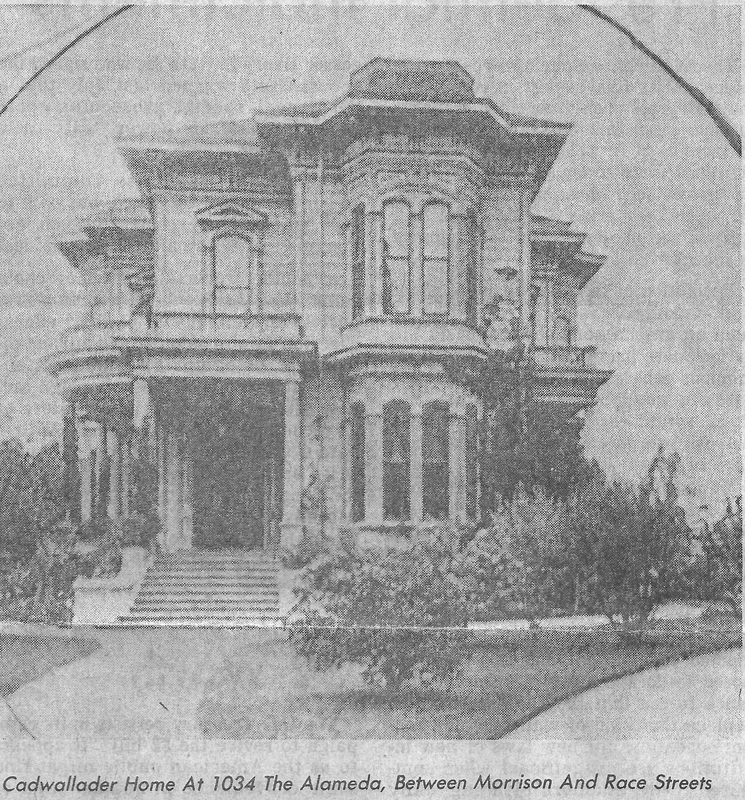 Charles C. Smith and his brother, born in Germany in the 1840’s, bought large tracts of land from the Yerba Buena land grant, with Evergreen Road dead ending at White/San Felipe Road originally. The Stephens/Stevens family were next, making up the original Plat of Evergreen. Francis Joe Smith owned and operated the General Store and was postmaster. His brother was the town blacksmith, and the blacksmith shop is where Hinman’s Garage is today. His daughter Katherine, for which there’s a school named, was a beloved teacher. L. C. Smith’s house still stands today. Their homes and businesses were right off San Felipe Road between Aborn Road and Yerba Buena Avenue. Speaking of teachers, the location of the school house was a mystery to me. From Barry Swenson’s describing of it, I still couldn’t place it. I have photos of it, but there’s no evidence of it anywhere. It’s here at the intersection directly adjacent to the Kettmann property. There’s a reason. Where the Valero Gas Station and shopping center currently sit, the Evergreen School House once stood. 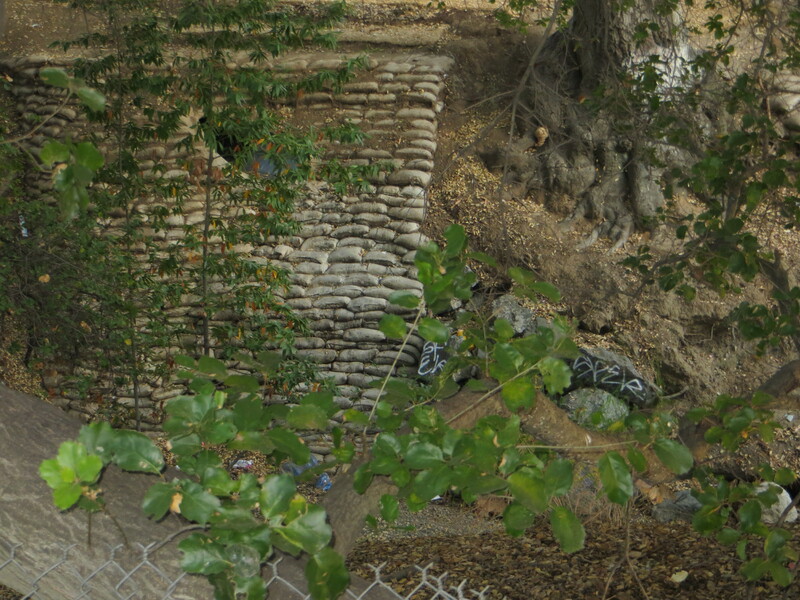 The odd curvy street behind the Wells Fargo, Keaton Loop, was once San Felipe Road. And the bridge over the Creek between Keaton Loop and the Cadwallader neighborhood was a busy path into town. The Cadwallader Subdivisions was once of the first concentrations of developments in Evergreen. 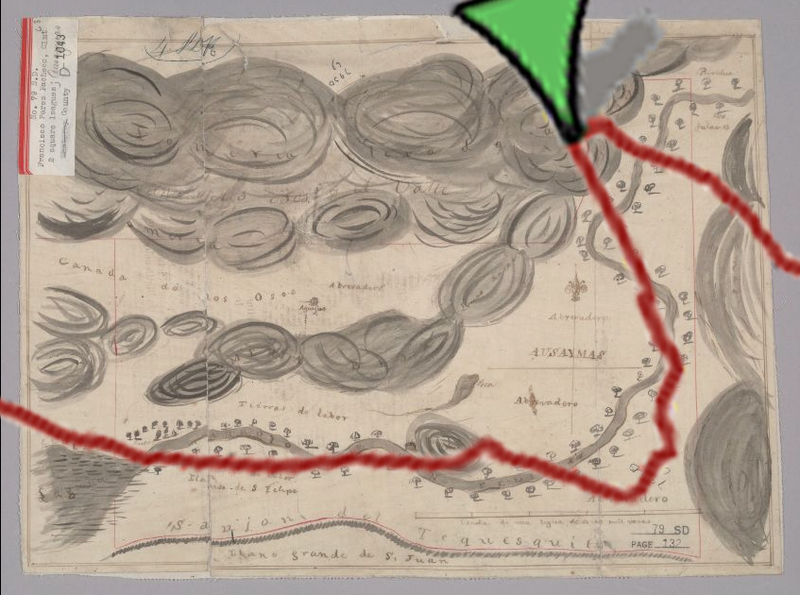 The reason the maps didn’t line up perfectly was because this path had been revised for a more direct route with better flood control.